Apologies for the "missing issue" but various matters meant I was unable to complete in time. Very many thanks to those of you who have provided so many photos that I am really spoilt for choice, so here goes. The Editorial this week seems to be mainly fixed on Stagecoach with several developments which I hope will interest readers but late news just in from Steve Wimbush of The Thames Valley & Aldershot Bus Interest Circle, is that Reading Buses have taken over Weavaway's Newbury & District effective last Friday, September 14th and under the Reading heading in fleet news you will see a list of vehicles currently absorbed into the Reading fleet. 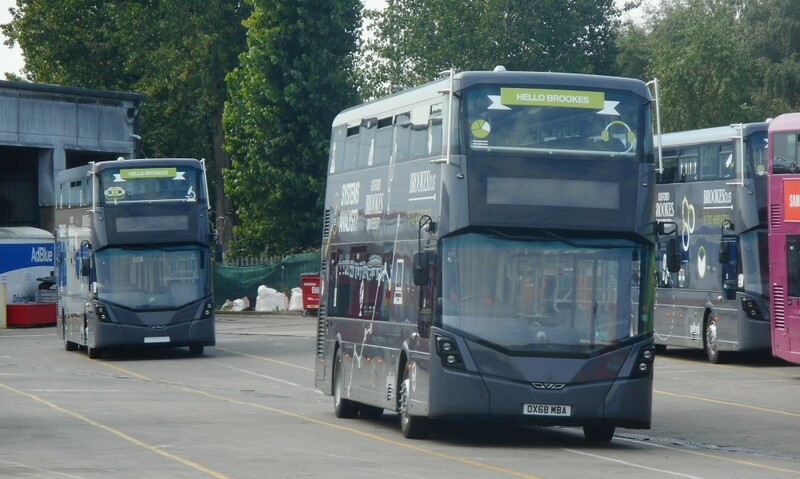 From present information available this includes one ex National Express Volvo Caetano, six Optare Solos, twelve E400 MMC double decks and five E200 single decks with a further four vehicles to be confirmed. It also is advised that Reading's own 1204 and 1401 have moved over to Newbury. 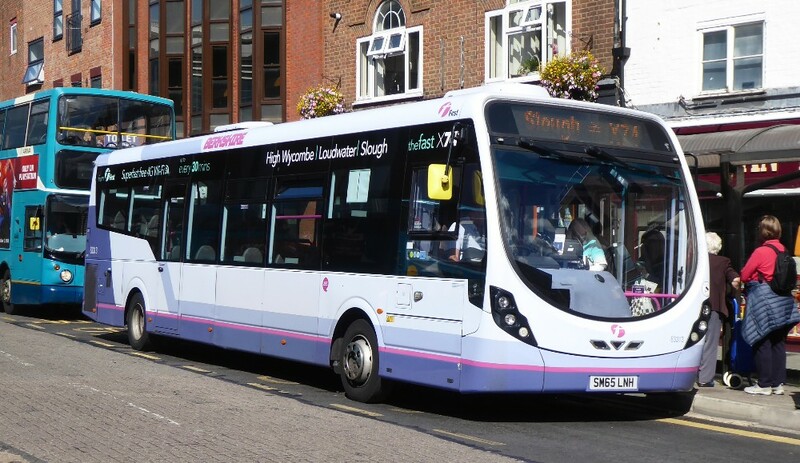 Sources within Reading Buses advise that for the present the Reading and Newbury & District fleets will remain in their current bases. 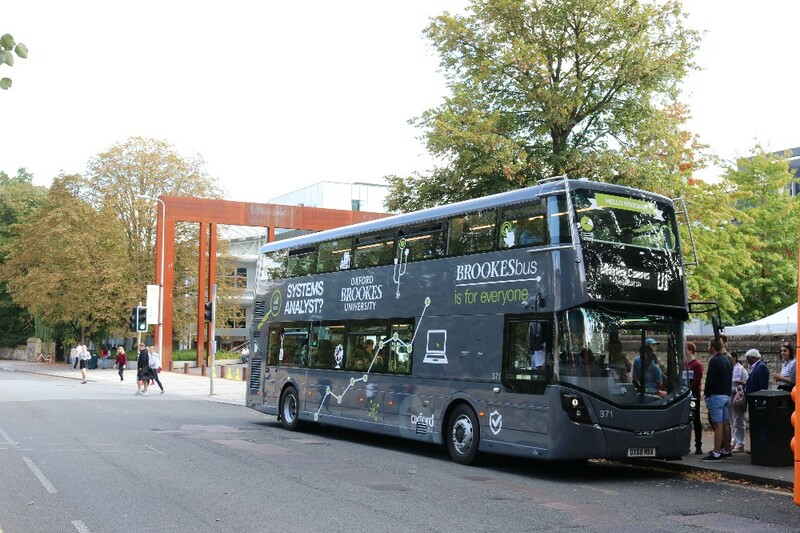 Ralph Adams reports on Brookes that Vacation timetables have finished and the new Semester has now started. The PVR has gone down from 18 buses to 16 from September 17th. There should be no late running normally as the layover at each end on U1 is about 17 minutes normally on a 15 minute frequency. Therefore one bus should always be on stand at both Wheatley and Harcourt Hill. 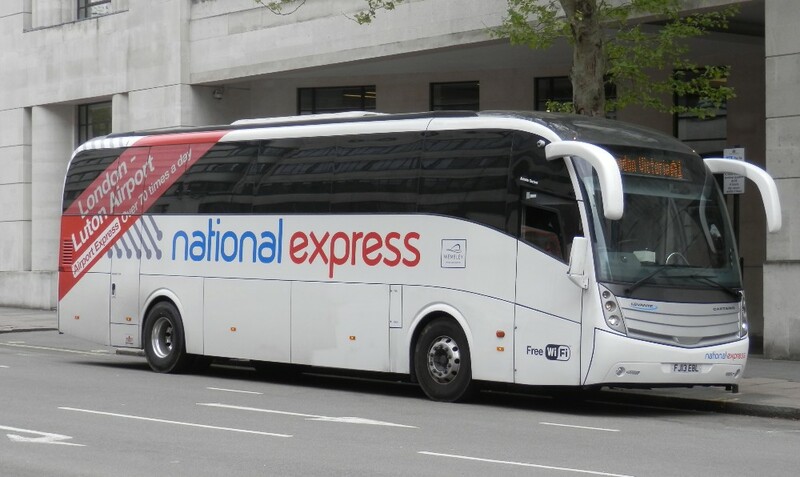 A further change for Reading Buses is that they have taken over the long-established Rail-Air link between Heathrow Airport and Woking Station under contract to National Express. 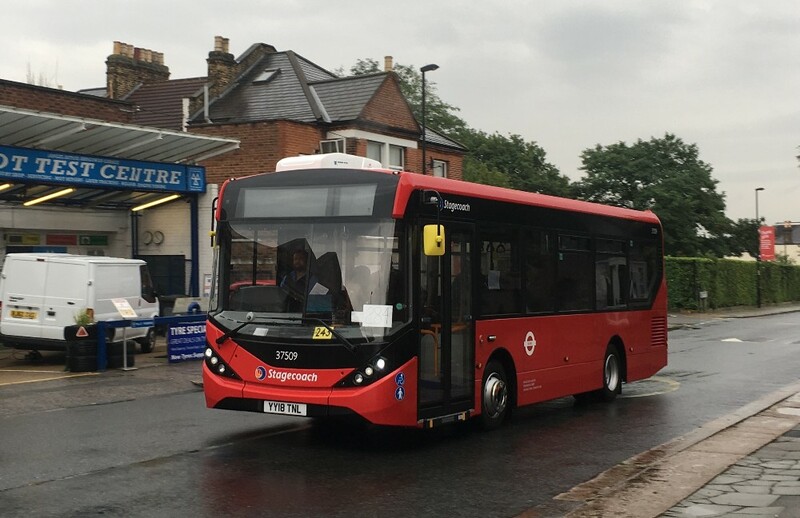 This is route 925 and the changes took effect on September 17th with the three coaches being based at a depot in Harmondsworth Road, UB7 9JS. 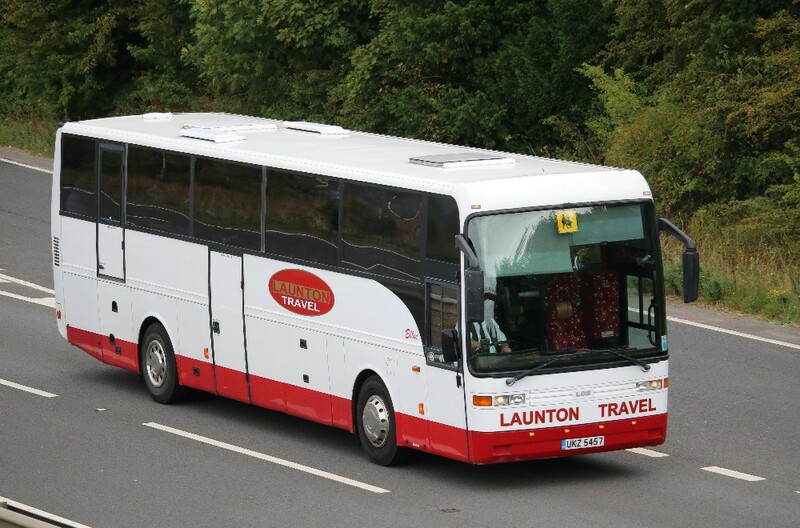 Details of the coaches maybe found under the Reading Buses heading in fleet news. Not noted until now is that Reading also took over the three Henley Town services from August 6th. These are the 151, 152 & 153. 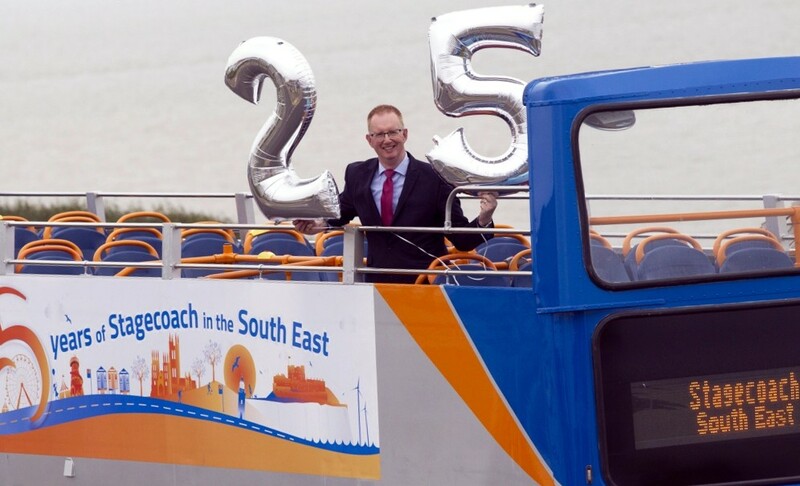 Two of Stagecoach South East’s buses have been decorated in a silver livery to celebrate the company’s 25th anniversary. 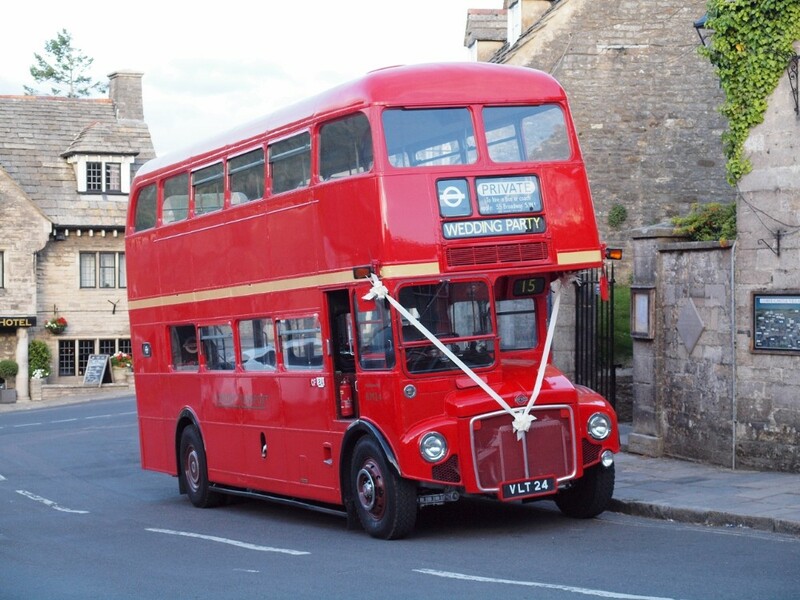 The silver double-decker is now in service in Canterbury with the open top vehicle running in Thanet at weekends until the end of September. A banner celebrating the anniversary features on the side of the buses which includes many of the locations it serves. 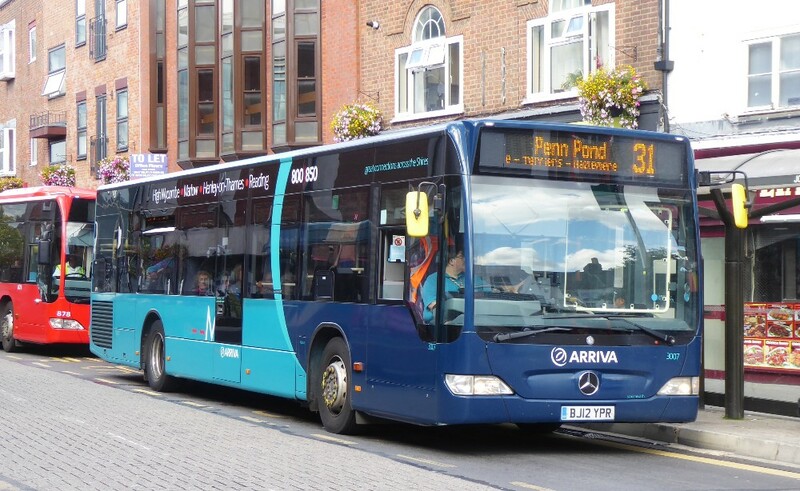 Six Stagecoach Mercedes-Benz Sprinter City 45s, previously part of the batch of 30 used on the Ashford ‘Little & Often’ routes are now in service, or on route trials, with Stagecoach in South Wales at Blackwood Cwmbran and Porth depots. All retain the 'Little & Often' livery but without the branding. 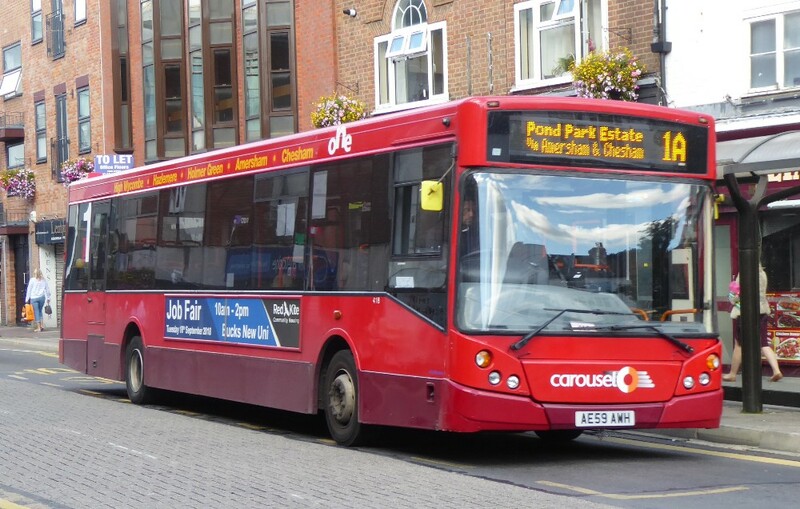 The Kent routes were upgraded with Optare Solos. A further 10 of the batch have been sent to Scotland. It still seems that with the best of intentions these "little buses" fail to work out on the operations selected. Ed. Stagecoach North Scotland has launched a £1.1m fleet of 8 brand new buses to operate between Inverness and Elgin. 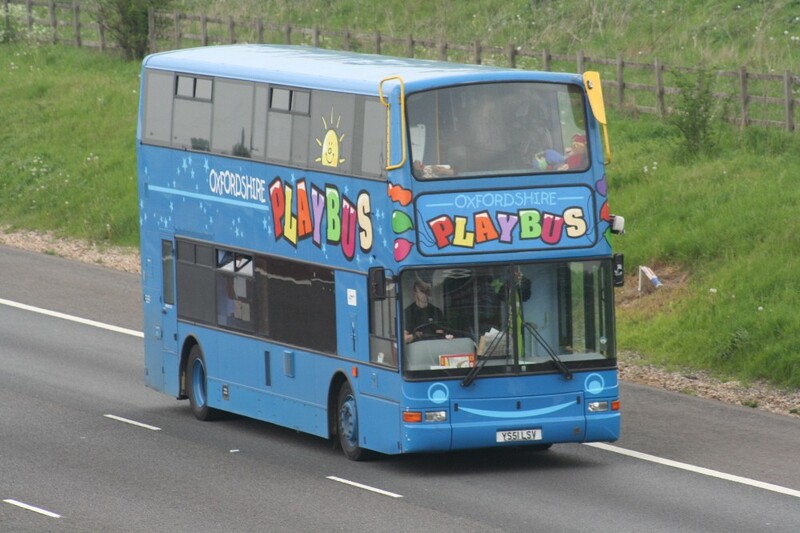 They will operate on route 11 (Inverness-Inverness Airport) and route 10 (Inverness-Elgin). They have leather seats, luggage racks, free Wi-Fi, vehicle tracking and USB ports. 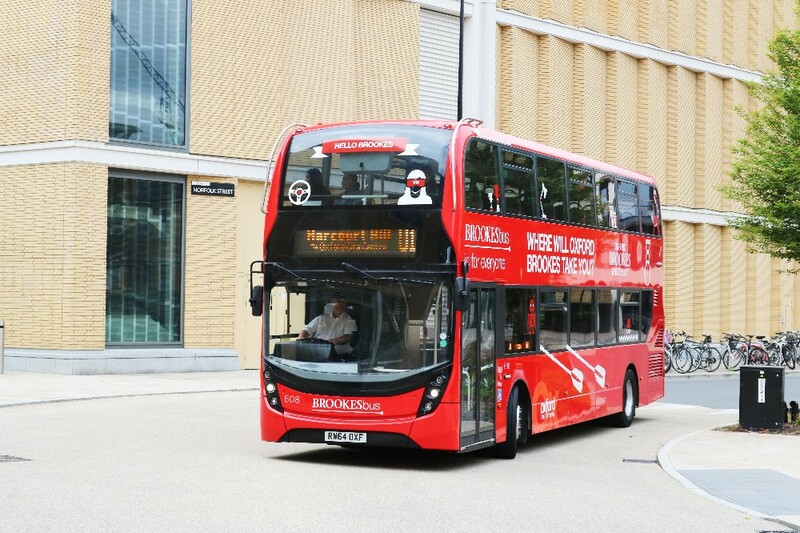 Route 11 carries 250,000 passengers each year and will transform the experience of taking the bus to the airport as bespoke luggage racks have been designed to accommodate those travelling with suitcases. Service 11 connects Inverness to Inverness Airport up to every 30 minutes and also extends to Nairn where it connects with service 10 to Elgin and Aberdeen. In August 2018 the service was revised to serve the new housing development at Tornagrain. Service 10 operates from Inverness to Aberdeen and in November 2017 the company spent £2.85m upgrading the coaches on this route. 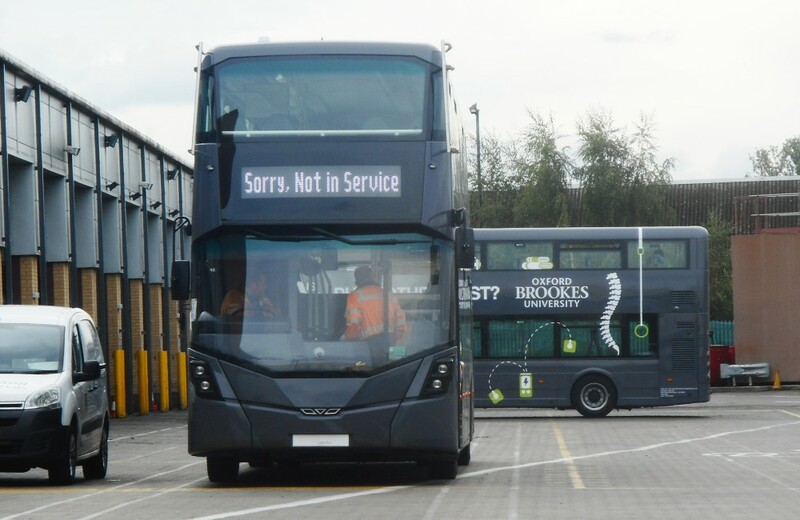 At that time the timetable was enhanced on the section of route between Inverness and Elgin to provide more service 10 journeys and 5 of the brand new low floor easy access buses unveiled today will operate on service 10 between Elgin and Inverness. One of the new buses was unveiled at Inverness Airport by David Liston, Managing Director for Stagecoach North Scotland with the deputy Lord Provost of Inverness, Councillor Bet McAllister. 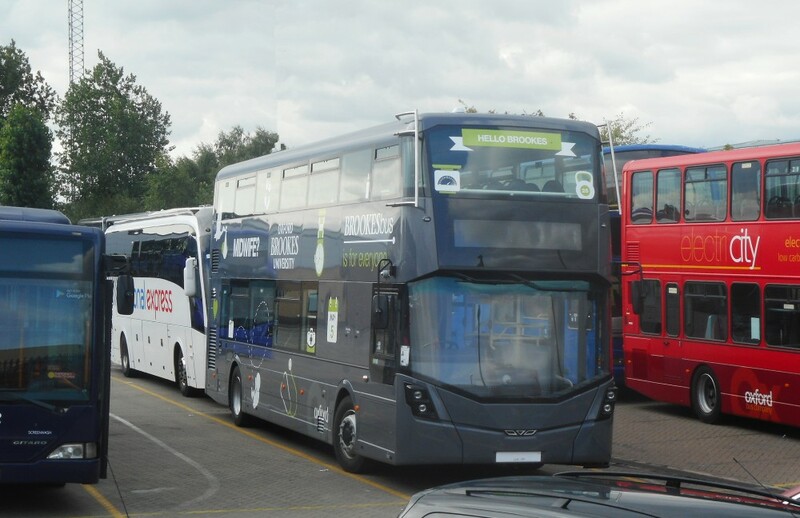 Reading Buses and the Gas Bus Alliance are aiming for the sky with a new fuel station for the operator’s biogas buses, which solves a problem relating to yard space at its centrally-located depot in the town. Sometimes not considered by advocates of alternative fuels is the impact that the equipment required for on-bus energy replenishment - of either batteries or tanks - has on depot space. And the latter is often a commodity that is in short supply. 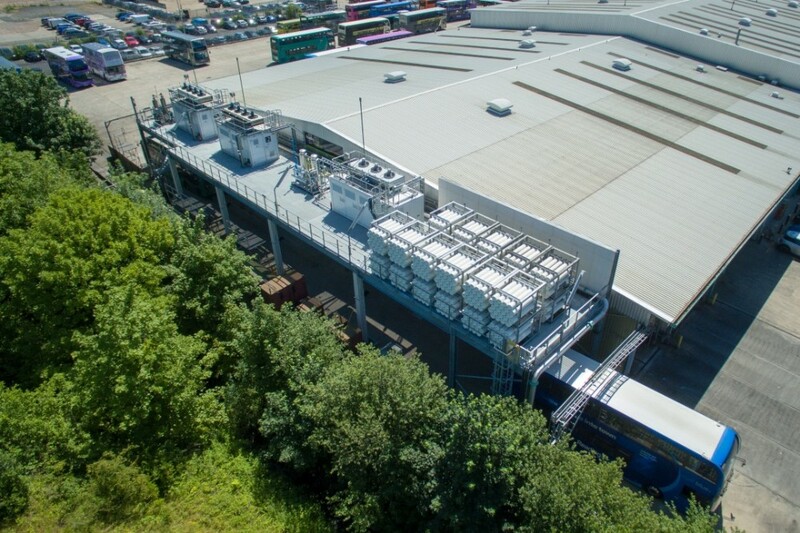 Because of that, the Gas Bus Alliance (GBA) and Reading Buses collectively came up with a novel solution to that for the operator’s 62-strong fleet of biogas-powered vehicles: A gas station in the sky. In a nutshell, a five-metre-high gantry with room for a double-decker to pass underneath is mounted on 15 pillars. 75 tonnes of equipment sits on the platform, including three compressors and 22 banks of high-pressure storage vessels. Dispensers stay at ground level. 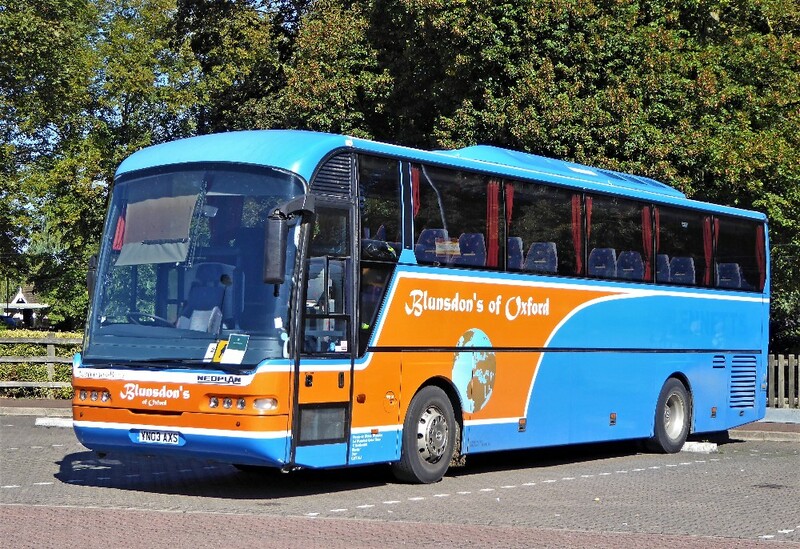 Coach travel linking Oxford to Bristol and Birmingham is now available thanks to an innovative partnership between the Oxford Bus Company and Snap. Coach 25 with Phil Southall and sn-ap. Direct coach services are now available via Snap’s on-demand travel platform at getasnap.com. The technology enables ticketless travel, live vehicle tracking and demand-driven coach planning. 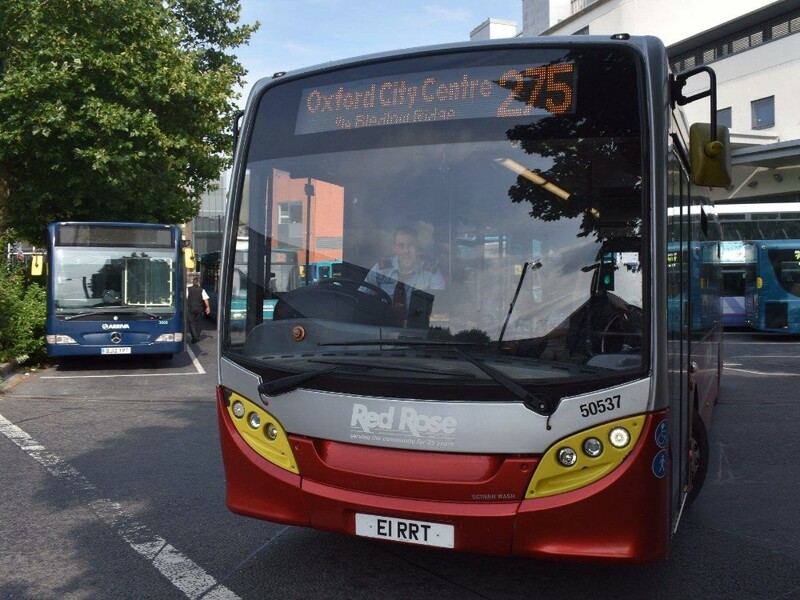 The new service runs daily connecting central and suburban Oxford with key areas of Bristol and Birmingham. All new Snap customers get their first return trip free. 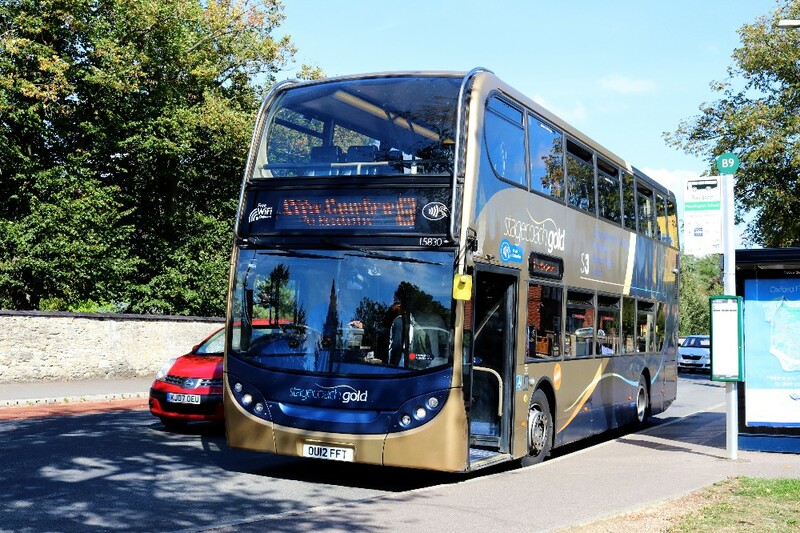 As part of the partnership Snap customers will also be able to buy seats on the Oxford Bus Company’s X90 luxury coach service between Oxford and London via its booking platform. 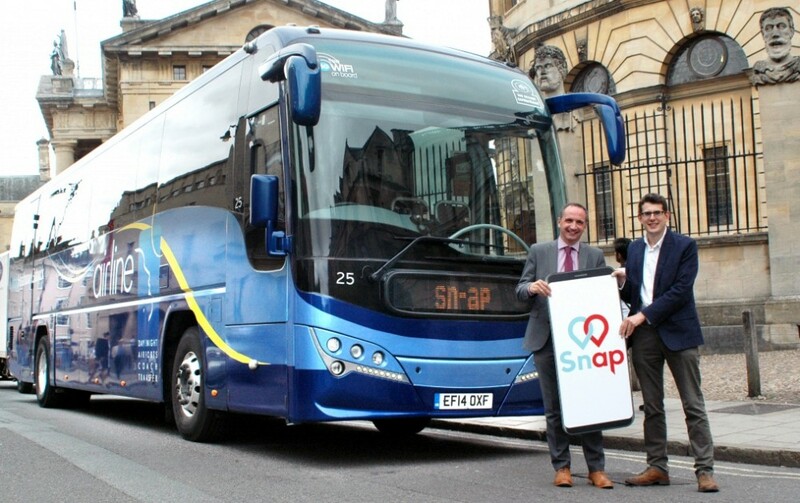 The Snap mobile phone app matches people who want to make similar coach trips and books the travel. 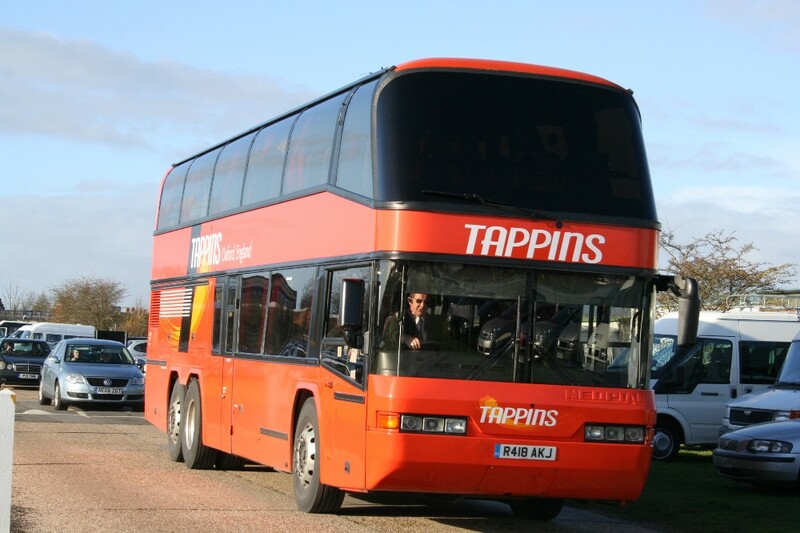 Coach drivers will manage Snap customer bookings using the Snap Pro drivers app. 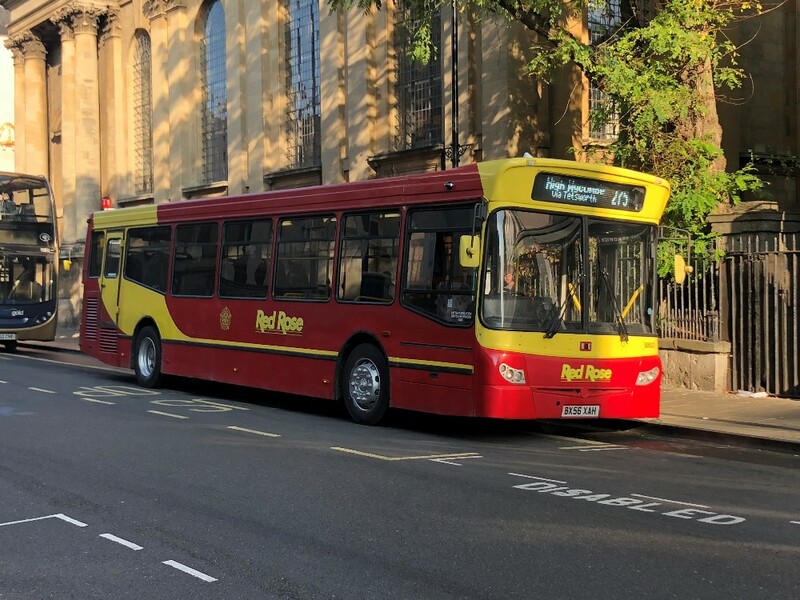 Phil Southall, Managing Director of the Oxford Bus Company, said: “This exciting new partnership with Snap has enabled us to widen our services, offer more routes and broaden our reach to new customers. 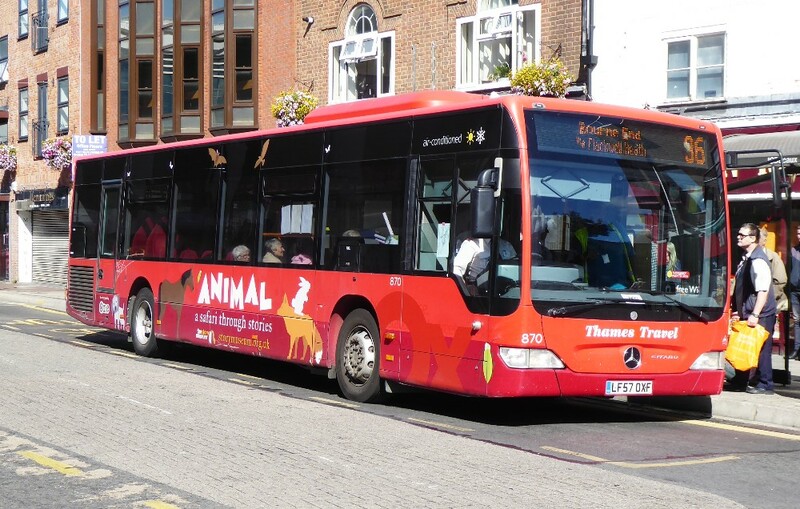 Thomas Ableman, founder and CEO of Snap, said: “Our growing network of on-demand coaches is proving hugely popular with a new generation of coach passengers. We now can offer scheduled services for the first time, expanding the reach of the Snap platform. Snap is a mobile phone-based coach booking service that uses machine learning to forecast demand for coach trips and provide them at times customers want to travel. Because of only running trips when there’s enough demand, prices are kept low. Snap uses star ratings of every journey by every customer to drive up quality. Snap is also live in London, Bristol, Nottingham, Leicester and Cardiff. 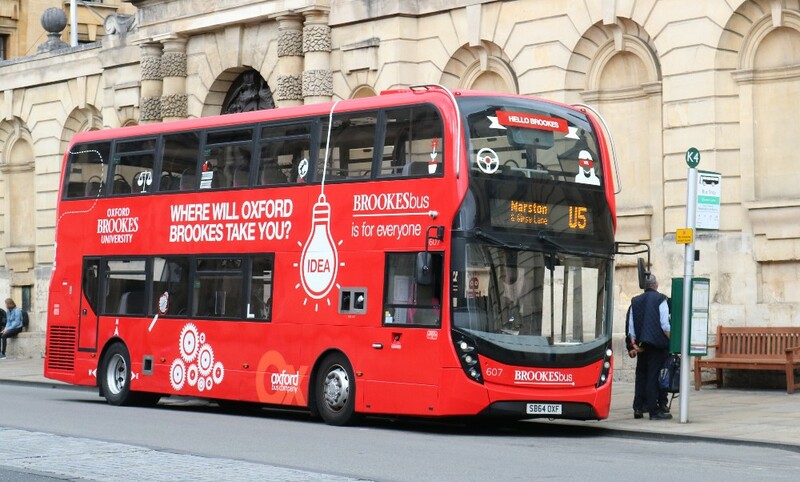 Oxford Bus Company provides extensive bus routes in Oxford City and Abingdon, luxury coach services to London and the airports, the BROOKES Bus service, in partnership with Oxford Brookes University, and the prestigious Park & Ride service which connects five car parks to the city. 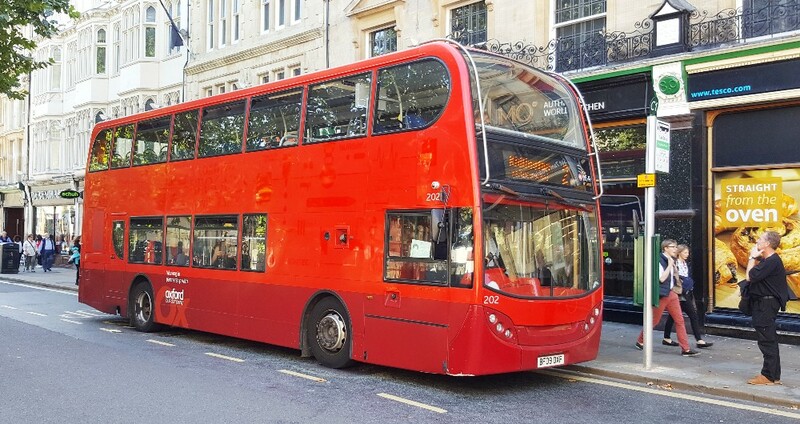 Snap is an on-demand coach travel platform linking intercity travellers and independent coach operators and offering great prices at the times people most want to travel. Snap was founded in 2016 by Thomas Ableman, former Commercial Director of Chiltern Railways and Product Development Director of National Express and has carried over 75,000 people since launch, with outstanding customer feedback (9/10 online reviews are 5-star.) Snap is supported by Kindred Capital, Oxford Capital and ADV and has raised £6m in funding since launch. Earlier this month it emerged that the council took £494,000 less than it expected between April and June because fewer drivers used its city centre car parks than predicted. Revenue from Oxpens and Worcester Street car parks was particularly badly hit. 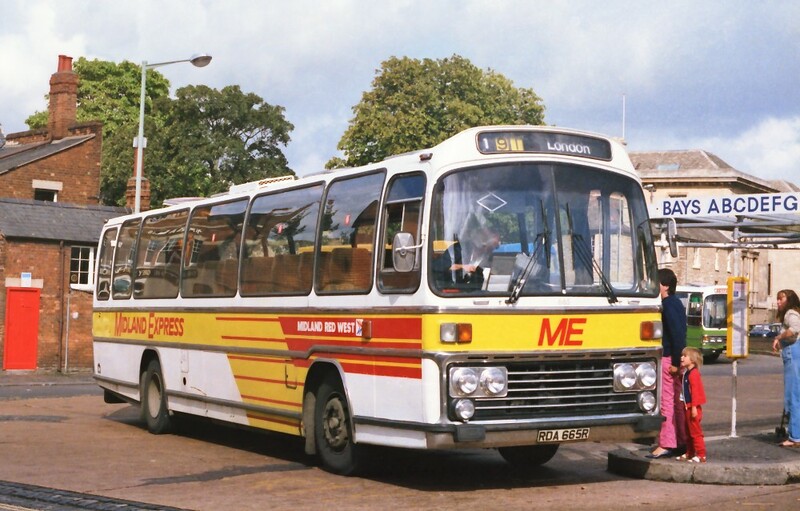 Midland Red West Leyland Leopard/Plaxton at Gloucester Green September 1984 on the 191 a service that was jointly operated with Oxford running from Worcester to London, in some cases via Evesham – Pershore- Moreton in Marsh – Chipping Norton. 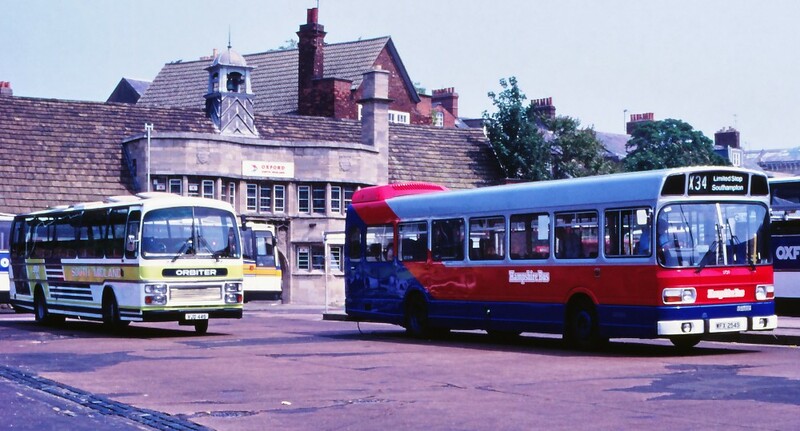 Dual Purpose Leyland National of Hampshire Bus at Gloucester Green August 1986 working service X34 Oxford-Abingdon-Newbury-Whitchurch-Winchester- Southampton, this service was worked by Alder Valley/Oxford/Hampshire Bus all supplying one vehicle each. Some pleasant memories for what seem now like a bygone age! Following last week's pictures Jim comments "Happy memories seeing picture of 64 l was working at Stratford depot, in my 2nd year, l picked it up l think from Rugby, where it had been repainted. The old Stratford Blue drivers said it was wrong colour, blue too dark, should have been cream not white! 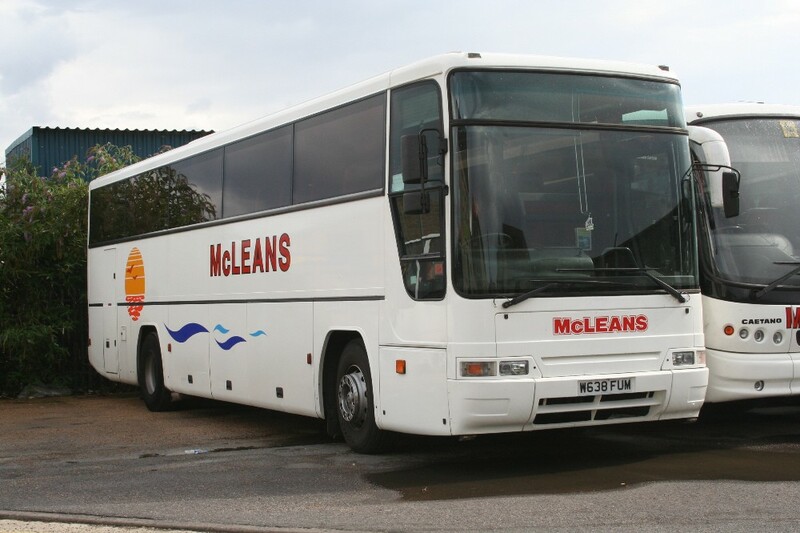 I drove it many times on private hires & tours, also the X50 started from Birmingham." The piece about St Giles' Fair and the lack of alternative routes and stopping places, of course took me back to my days of conducting and then driving at Charlton-on-Otmoor in the 70s. In those days we used to come out of the old Gloucester Green, up Walton Street, right into St Bernard's Road and Bevington Road to reach Banbury Road. Inbound we went via Observatory Street! 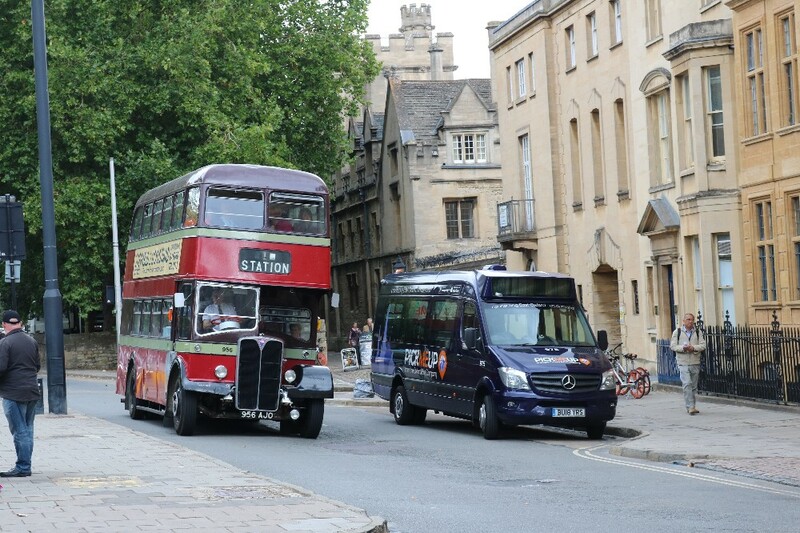 Last month when I came to Oxford I drove along both Observatory Street and St Bernard's Road. With parking, trees and traffic calming it was a bit of a challenge in my car, let alone a Regent V or a 36ft Leopard!! I also remember conducting an extra 2300 journey from Oxford on ex-London Transport RT, KGU 239 on St Giles' Monday in about 1972. We had a full seated load going back to the Otmoor Villages. The days of good rural public transport eh?! A photo of KGU picking up in the old Gloucester Green. Not on St Giles' Fair day, but taken in the early 70s! by Andrew Dyer. 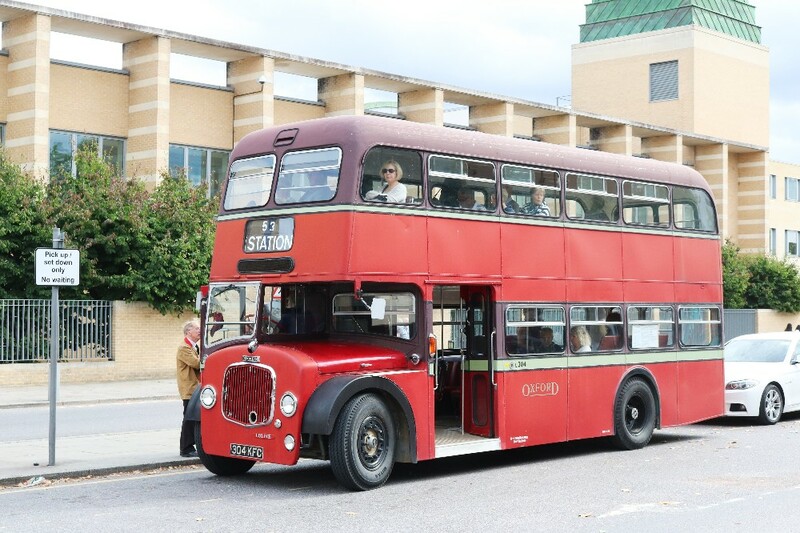 The photos were from the Oxford Open Doors event - three double deckers were in use and were on a circular trip from Oxford Railway Station, Park End Street, New Road, High Street, then around the roundabout near Magdalen bridge, High Street (return), Longwall Street, St. Cross Road, South Parks Road, Parks Road, Banbury Road and George Street back to Railway Station. NJO703 was on display in Queens Street. Departures were every 15 minutes (on the quarter hour). Not sure when the first service operated, but the last one was at 15.30 from the railway station. Pictures by David Gray unless stated. 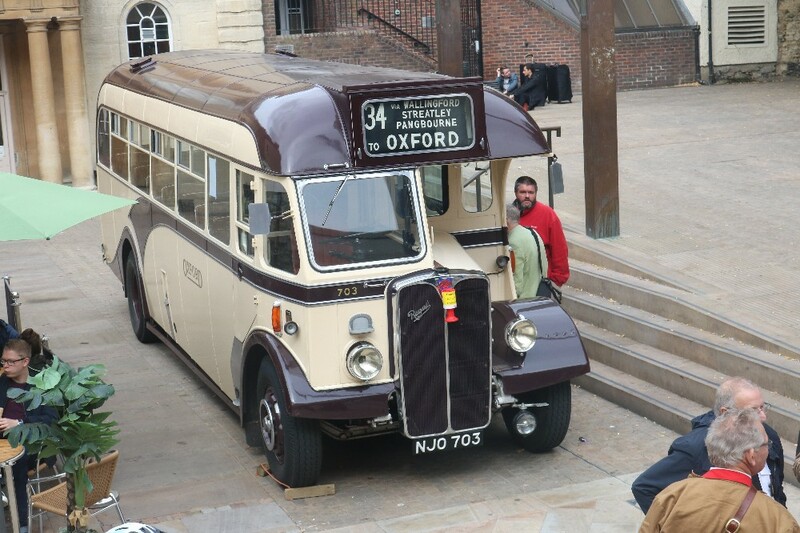 On static display, a delightful AEC saloon, 703, looks every inch an immediate post war dual purpose vehicle. AEC 956 passes PICKMEUP 975, two very different vehicles from very different eras on September 8th. 371 at the train station on September 8th and a week later the present 371 is seen in Park End Street by Jim Wright. Short Dennis Loline 304 waits time at the train station, how different from today's Dennis (ADL) offerings. I have attached details for The 30th Amersham & Chesham Classic Bus Running Day (note new Chesham Water Meadow car park venue) on Sunday, October 7th which this year features a book launch (details also attached) – Neil Lamond’s ‘Next Destination, a History of Amersham Garage 1933-1992’ following on from his ‘Pride of Bucks’ history of the Amersham & District Motor Bus & Haulage Company (of which a limited number of copies are still available). So, now on to the Fleet News. 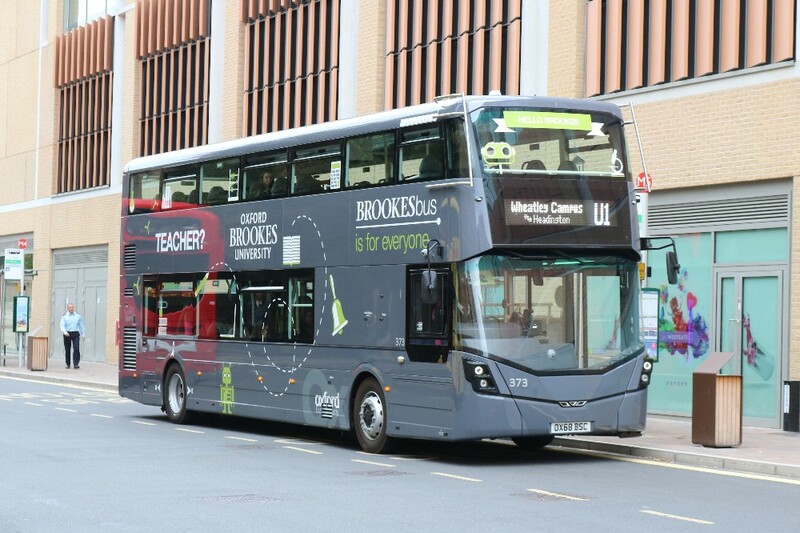 Apart from the regular news and pictures, we are including the Reading/Newbury & District fleet changes, the National Express coaches moving to Reading Buses for the 925 service and the new Oxford Brookes Buses entering service on the U1 and U5 routes. "The pictures of re roofing the Purbeck Breezers at Swanage in the latest notes was interesting. 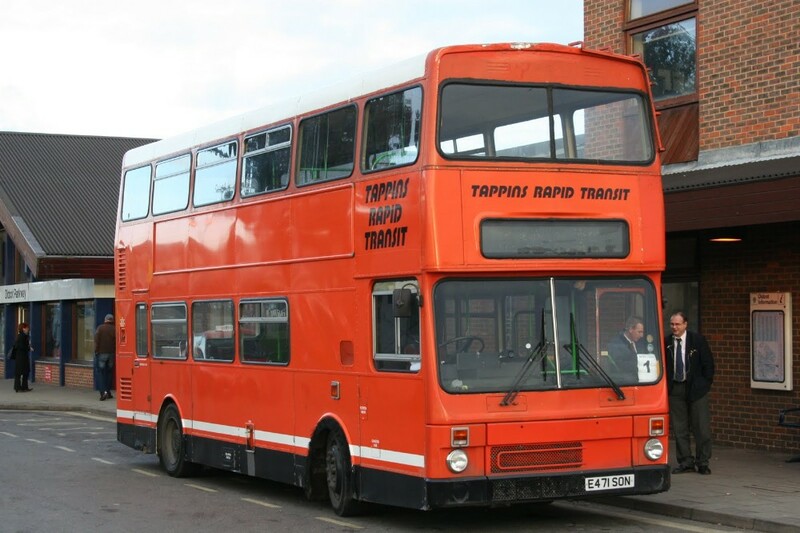 It has always been done that way, and many years ago the roofs were removed by Yellow Buses at Bournemouth and stored there but now there are more open toppers in use on summer services, the Swanage ones are done there and the others at Poole. 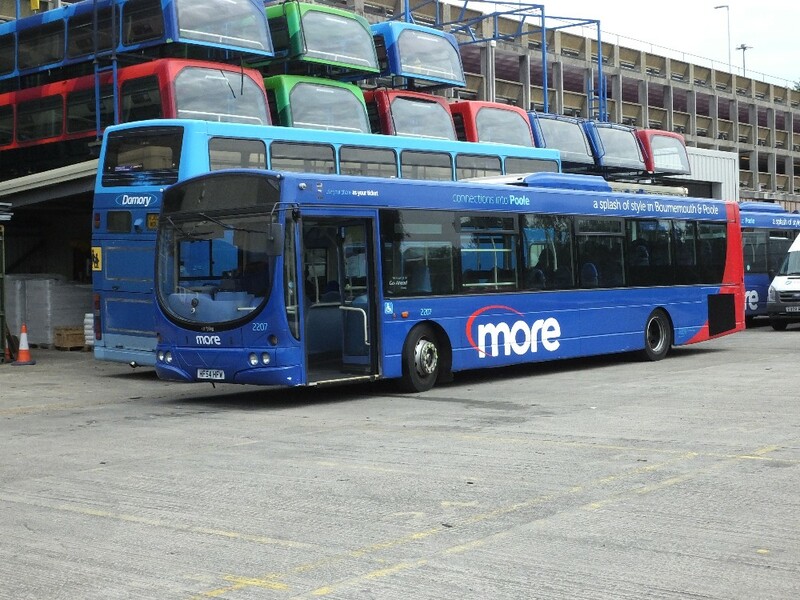 In the past we have also had Brighton and Hove buses at Poole for roof removal. 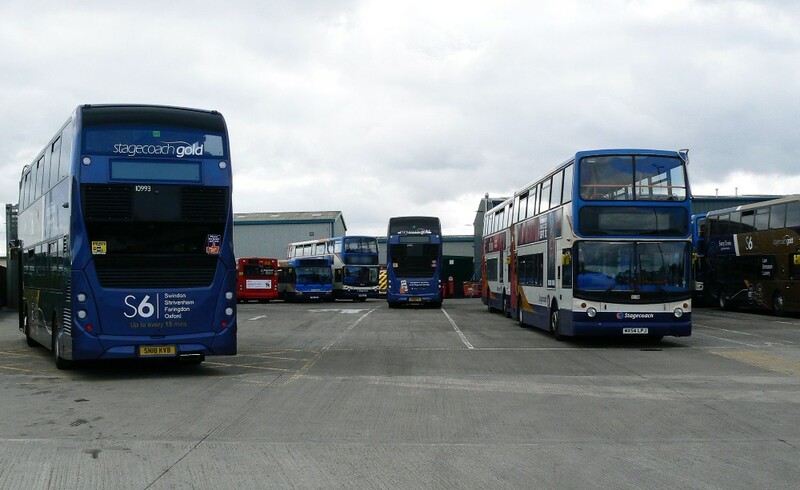 In the attached picture the six roofs top left are from the New Forest Tour Red Green and Blue route buses, the two blue ones bottom right are from Purbeck Breezer Scania Olympus's and the two red ones either side of them from normal fleet liveried Volvo East Lancs." Go South Coast 2207 at Poole in front of stored rooves on August 14th by Ken Aveyard . 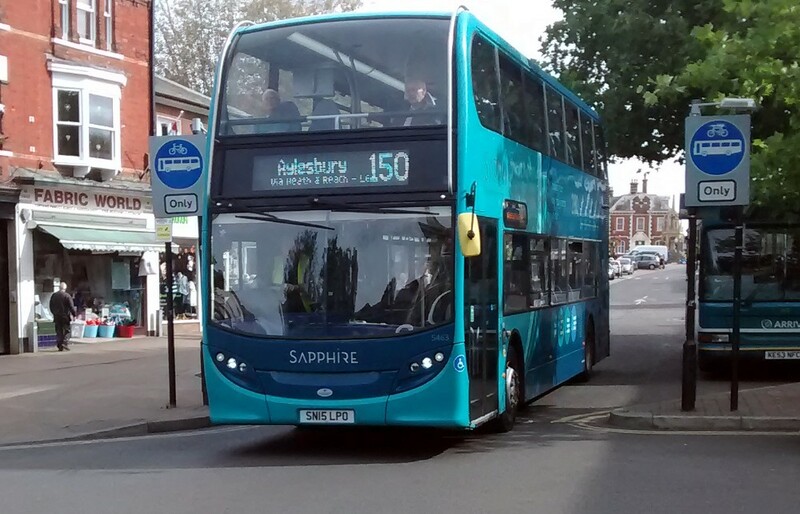 Nick writes "Arriva Enviro 400 5463 is an uncommon sight in Leighton Buzzard High St working the 1010 Milton Keynes - Aylesbury 150 on Friday, September 14th 2018, seen in the picture below." 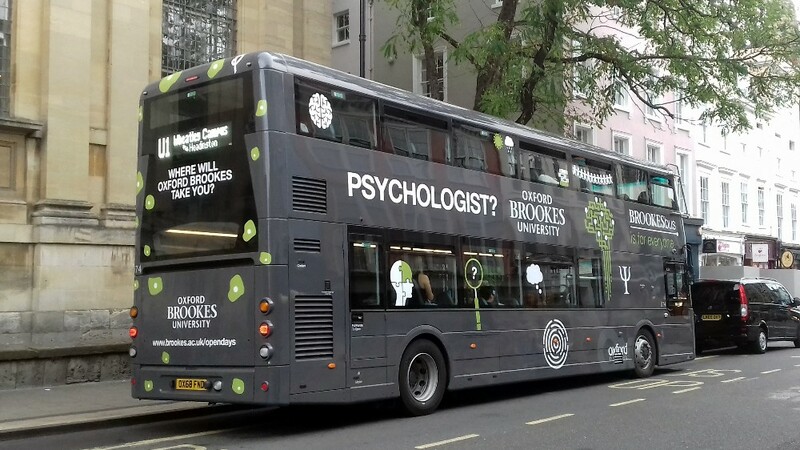 Well, yet another branded bus off route! Gavin Francis spent a few hours in High Wycombe on September 7th recording current events in the town. Of note are the more detailed destination screens on the local fleet. An example of the more detailed destination screen is shown on this Citaro, 3007, operating the 31 service to Penn Pond. 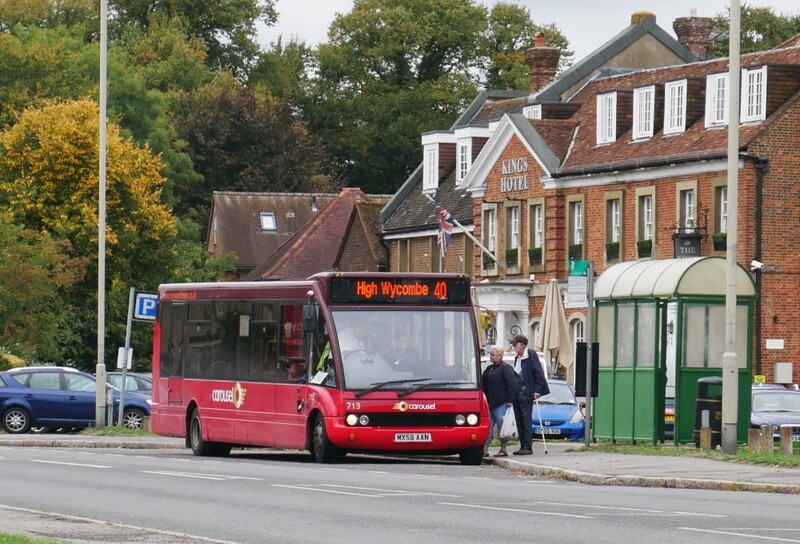 An X60 branded Citaro, 3916, working the 300 in High Wycombe. Now rather elderly DAF/ALX400 6000 seen on the 37 to Maidenhead, a pleasant route on a sunny day. 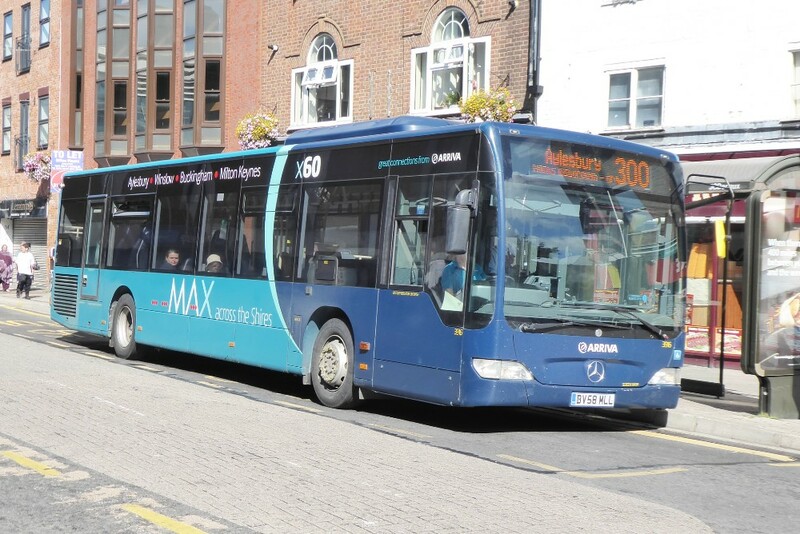 During Gavin's visit, to High Wycombe, he caught up with this StreetLite back on its branded route after a summer of which much was spent on Rail Replacement duties. 63313 with a FAST X74 to Slough loads in High Wycombe on September 7th. Including some news from within Go-Ahead. Go-Ahead Vectis Blue 7093 is seen a long way from home at Duoflex in Brackley for a retrim, alongside Skills former Stagecoach 54017. 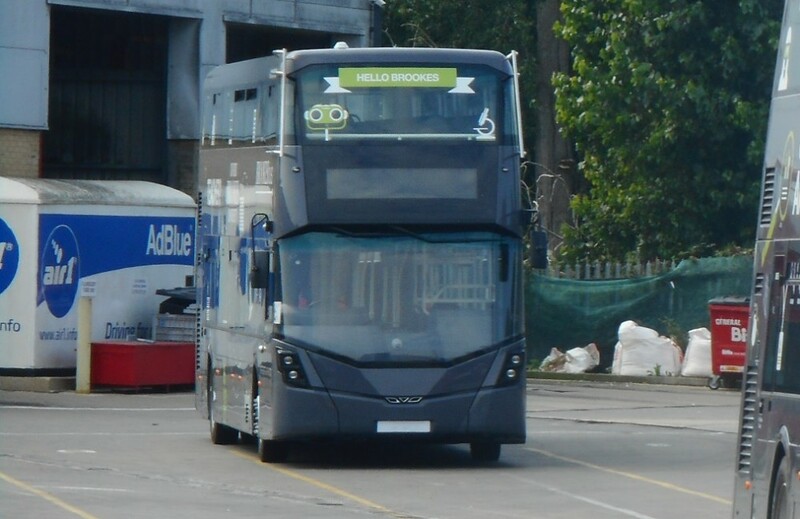 In addition apart from the new buses with Oxford Brookes and Thames Travel we are able to report on the Open Doors event thanks to David Gray who has also supplied quite a few pictures of the new Brookes buses in service. Recently a Solo has appeared on the Link 40 to Thame from High Wycombe, maybe because the regular orange pair of E200s was in for maintainence. Solo 713 is seen on its way from Thame to High Wycombe on September 14th loading at Stokenchurch pictured by Malcolm Crowe. Gavin Francis spent a few hours in High Wycombe on September 7th recording current events in the town. 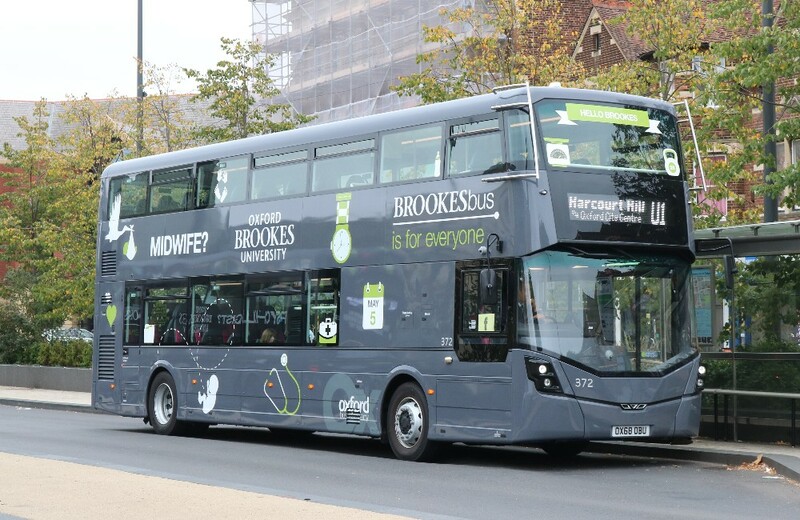 Of note is the use of a Brookes Bus branded Scania and two Thames Travel branded Citaros. The destination screen of 203 was not working when this picture was taken, the route only signified by the running card in the front window - 36A. 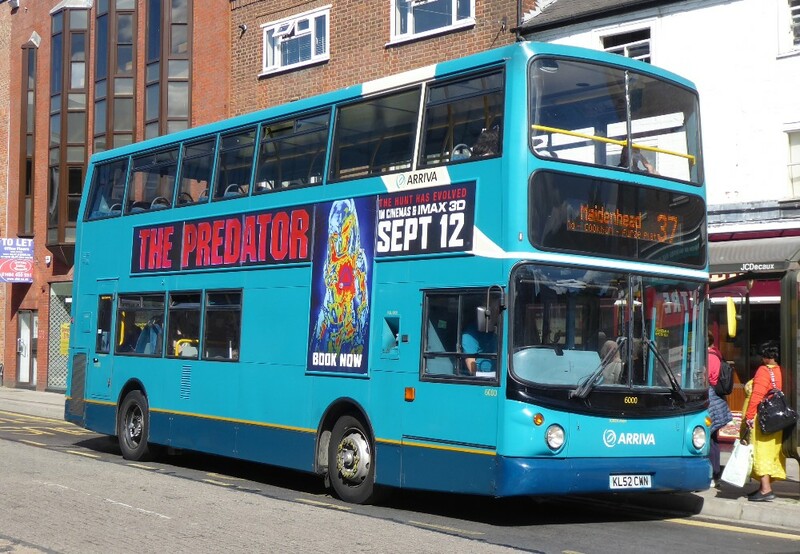 I am told that 202 has also been in Wycombe but no pictures of this bus have come to light. Citaros 869, on the 104 to Slough and 870 on the 36 to Bourne End both loading in central Wycombe. 418 working the 1A to Pond Park Estate, Chesham branded suitably for the ONE. 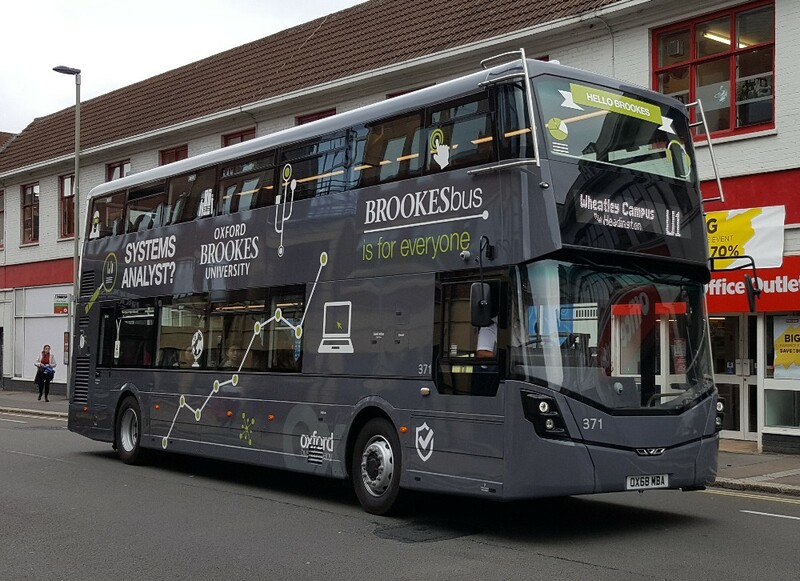 James spent quite a lot of time gathering pictures of the new Brookes buses before they entered service and has provided records of all six! 371 to 376 at the depot before entry into service with a cover over most of the number plates which is normal Wrights practice for buses being delivered. 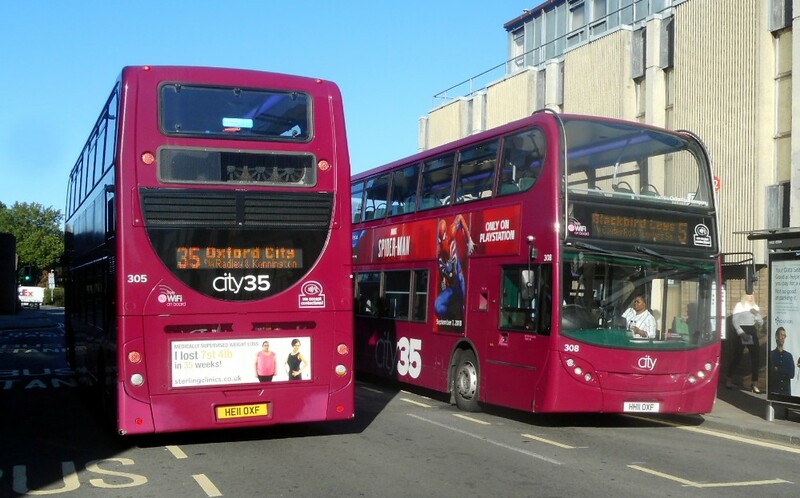 Another rather special "cop" was of two 35 branded buses on different routes in Speedwell Street rather emphasising the problems related to route branding buses! 305 on its branded 35 route but 308 is seen working a 5 road service in Speedwell Street on September 7th by James Freeman. 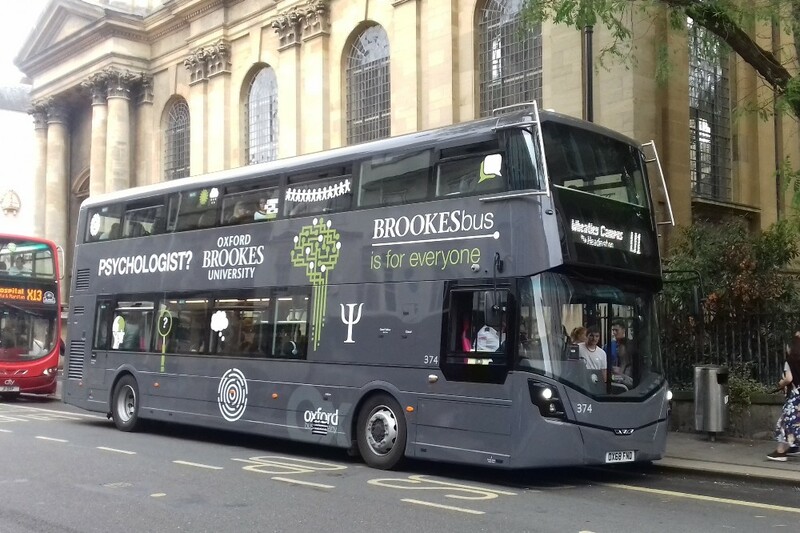 On September 8th I saw 202 operating on route 2 in full Brookes livery but with Thames Travel fleet names at the front - I just missed it leaving Oxford but managed to get a good photo on its return. As will be seen from later pages in this issue, 202 was about to lose its Brookes branding very shortly. 206 is in overall two tone red with no fleet names or lettering and was on a T1 service. I have been checking the Hants and Dorset Trim Facebook pages regarding the conversion to open top but nothing has been reported. Regarding the pictures above I walked out to the University to get a variety of locations and in the hope of getting a photograph with Oxford Brookes University with a bus outside but it’s not an easy place to do so and get the sun in the right place. I am fairly confident therefore that the photos represent all the buses in use on the U1 and U5 routes. I presume that the missing ones were either off the road or may even been the next in line for repaint. 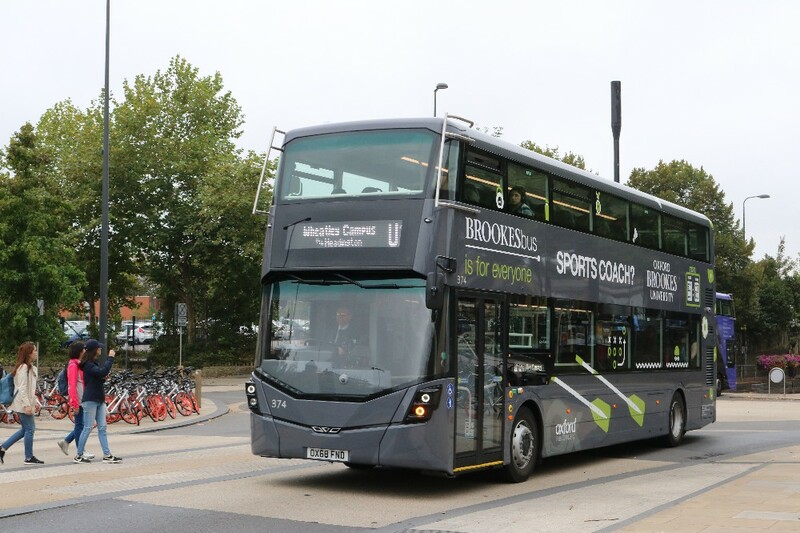 One thing I noticed on downloading my photos, taken on September 17th, is that the new buses have different lettering on the sides, advertising some of the courses available. I recall that the previous OBU buses had registrations with the initials of (staff members?) in the registration and I notice that there is a pattern with the new buses. OBU is Oxford Brookes University, MBA and BSC are qualifications; not sure about FND unless it is short-form for foundation course. 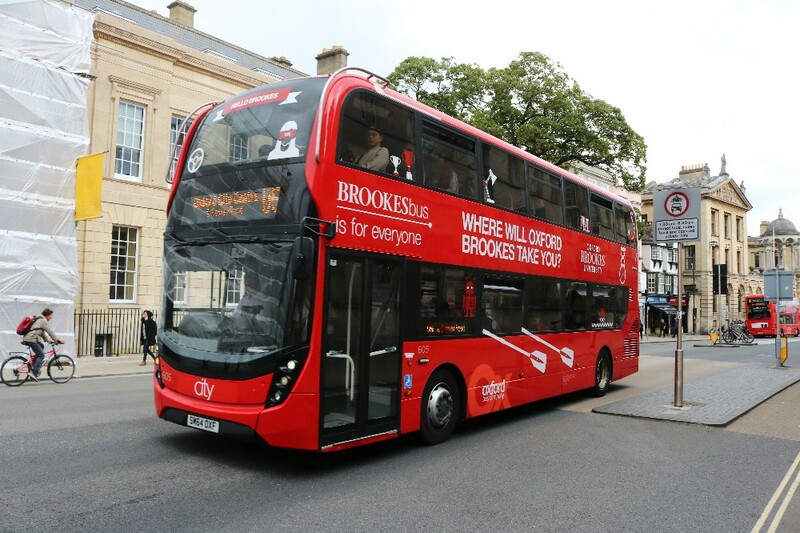 The previous grey branded Brookes Buses are now almost all in service with the new colours, 603-608 being in red. David obtained pictures of 605-608 as seen below. ADL MMCs 605-608 in the new coat of red with Brookes branding by David Gray. 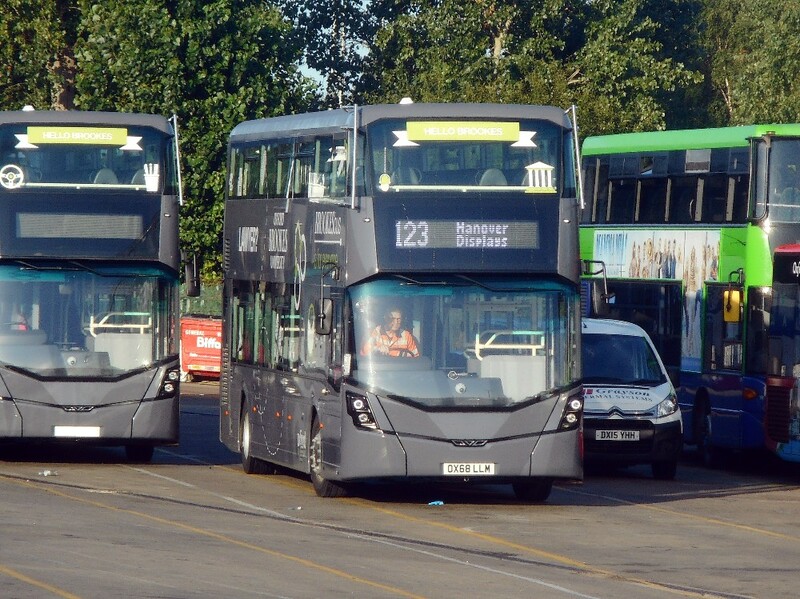 At least 374 of the new COMS Brookes Wright StreetDecks was in service today (a day early?) as these views show. The ride in leather seats was smooth and quite quiet apart from a rather nosy and continuous high pitched whine. As can be seen the lettering on each side is different if compared to 374 above. Pictures on September 16th by Graham Low. All of 371-376 were in use on September 17th, all on U1, plus ten of 603-614. 608 and 613 not seen. 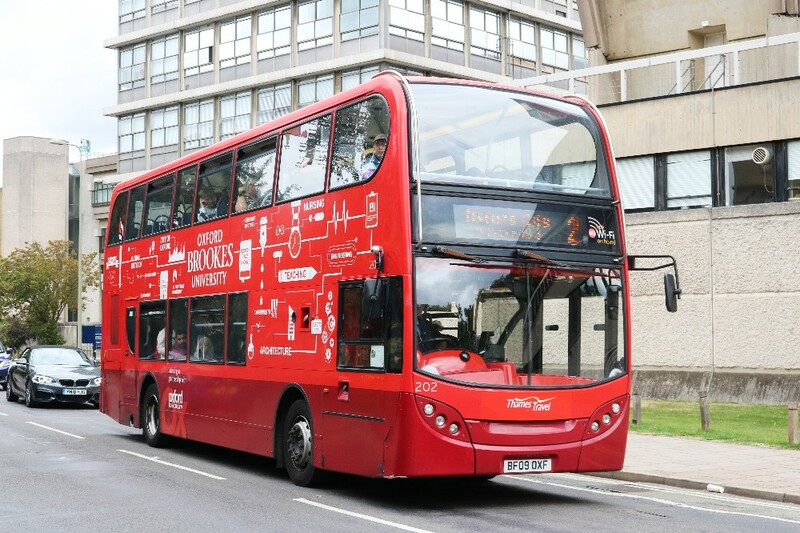 Note all of 603-608 now red with Brookes logos. 601 not seen and 602 now unbranded but still grey being used on X3 on September 17th. 601 is in all over blue as seen by the picture below. One presume this is going to be branded for 2 road? Taken on September 18th. 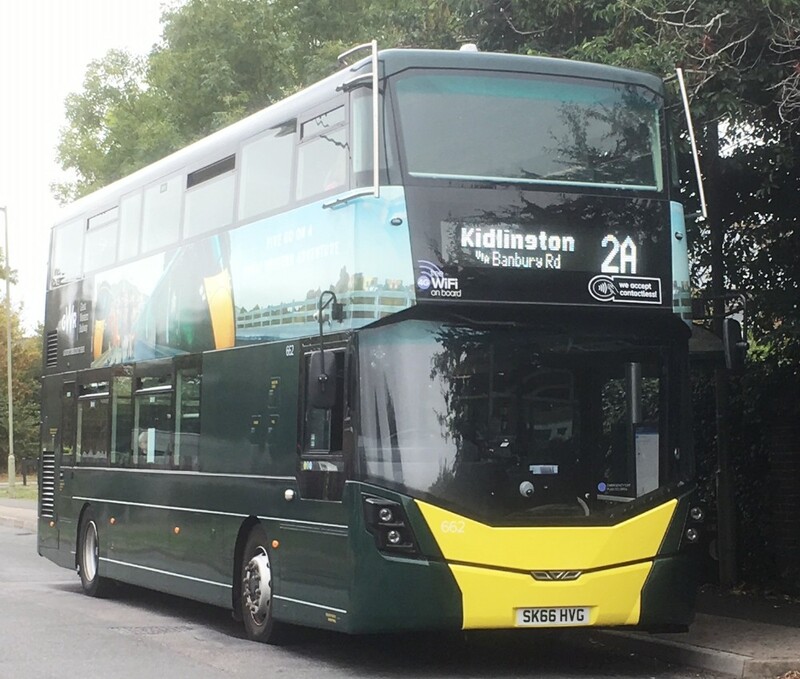 Giles writes "Expect your next edition will be filled by pictures of the new Brookes buses but just in case here’s the “GWR wrapped” Park and Ride on an unusual route (so far as I know), taken this morning in Grovelands, Kidlington." 202 debranded outside Debenhams on September 17th by Jim Wright. It looks rather smart. 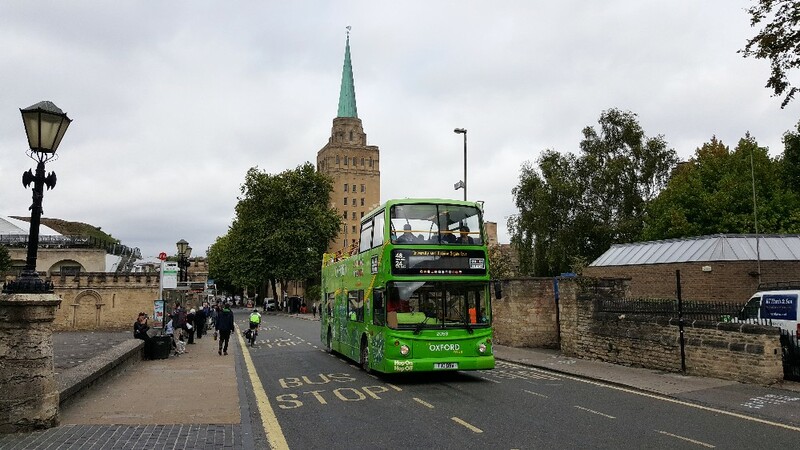 A very nice picture of City Sightseeing 2058 T110DBW in New Road with the tower of New College behind on September 17th by Jim Wright. 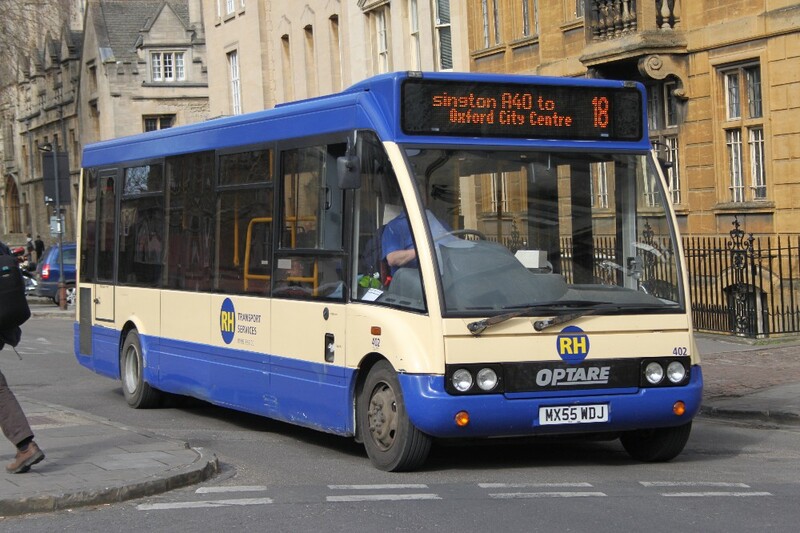 This bus is "back home" in the Oxford fleet have started with them in 1999 as a Park & ride bus 110. A nice picture of 376 heading out to Harcourt Hill on September 17th, its first day in service. MMC 608 comes out from under the railway bridge towards Frideswide Sq. on September 17th smartly repainted red and Brookes branded. 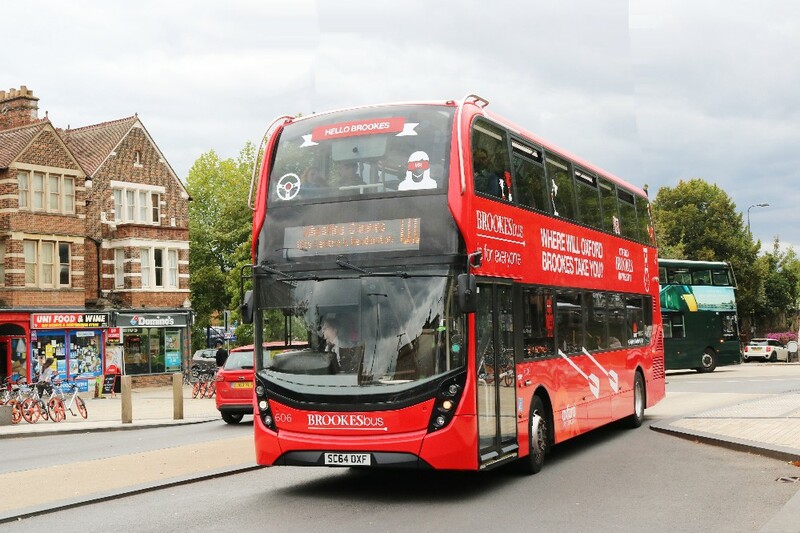 The 67 route has a lot of double-deckers now and I thought the picture was a change from a different area . 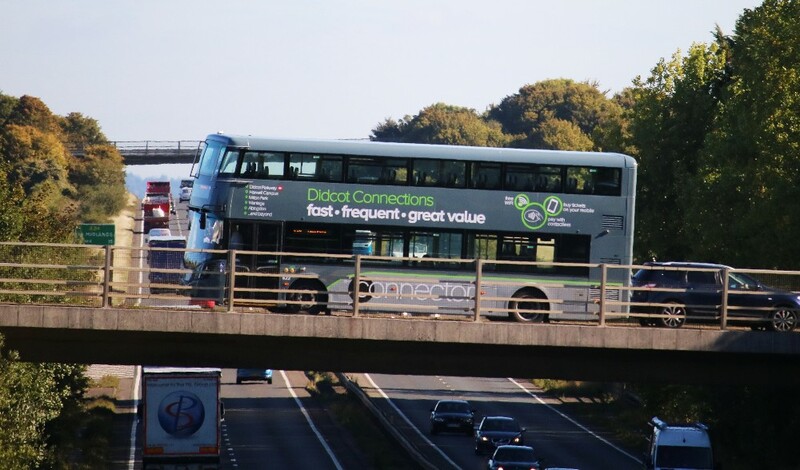 It is an hourly service and I understand the deckers run through to Didcot using the same bus but it changes its number when it gets to Wantage. Scania 252 with a 67 to Wantage seen in Faringdon on September 14th by Paul Hubbert . 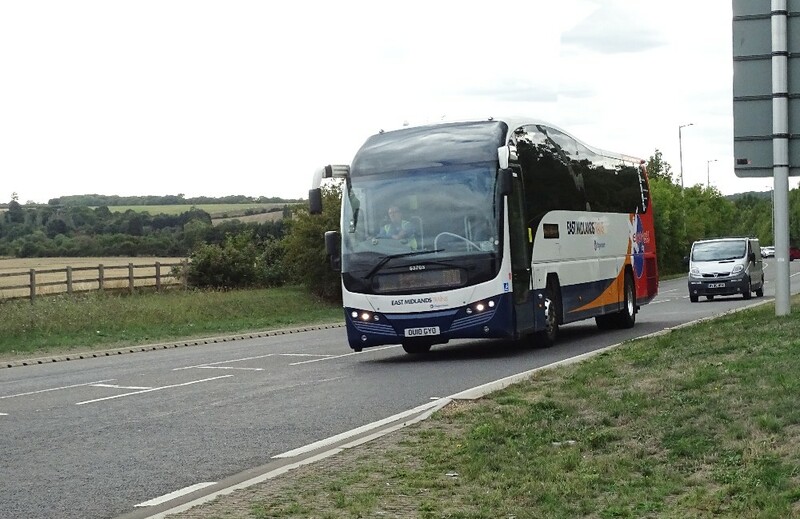 Derek writes "Bagged my first 68 plate Friday being Thames Travel 622 BN68 XSO taken from A34 bridge at Chilton." 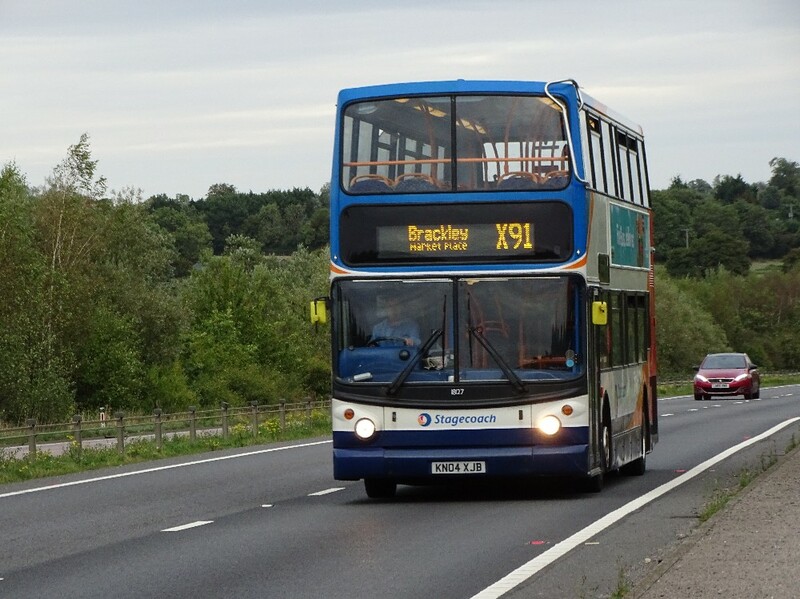 Volvo B5TL 622 BN68XSO crossing the A34 on September 7th by Derek Dawson. Rather an interesting picture I thought from a perspective point of view! Scania 914 with a T1 to Watlington at Queens Lane on September 17th by David Gray. This bus now lacks any branding. Ralph Adams notes: The Wallingford garage has a TO LET sign on the frontage. The following coaches have been transferred to Reading Buses, as mentioned in the Editorial above, for use on the Rail Air service 925. 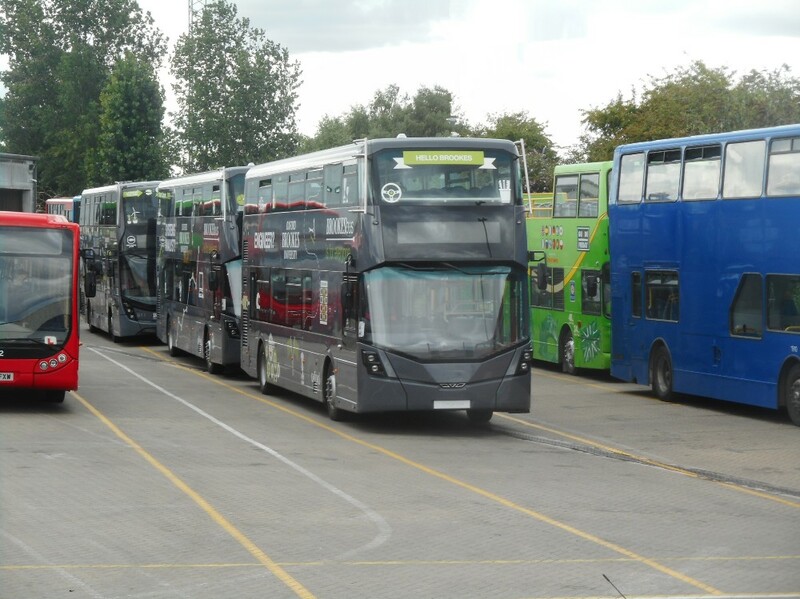 Coaches - Reading Buses with the Reading fleet numbers are 1403 (FJ13 EBL), 1404 (FJ13 EBN) and 1405 (FJ13 EBX). 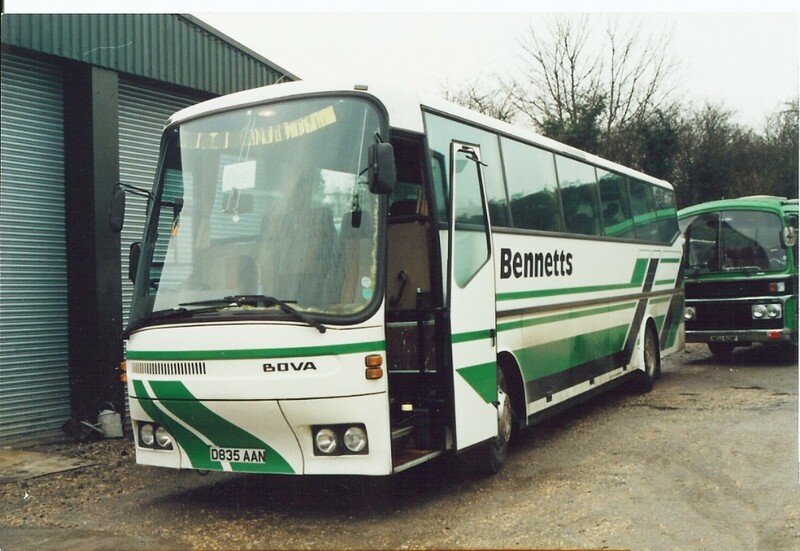 When new these coaches were used in competition with Green Line on the Luton Airport service. 1403 (FJ13EBL) and 1405 (FJ13EBX) provided by Gavin Francis and taken in 2013. Oh are you aware that National Express have just taken over Stewarts Coaches Group, Reading.....which includes Woods of Leicester. 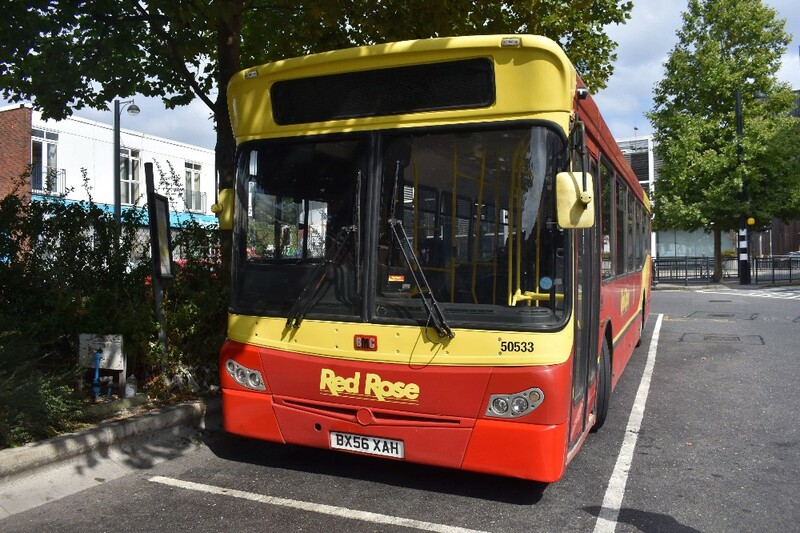 Robert Williams has been appointed Chief Executive Officer at Reading Buses replacing Martijn Gilbert who has gone to Go Ahead North East. 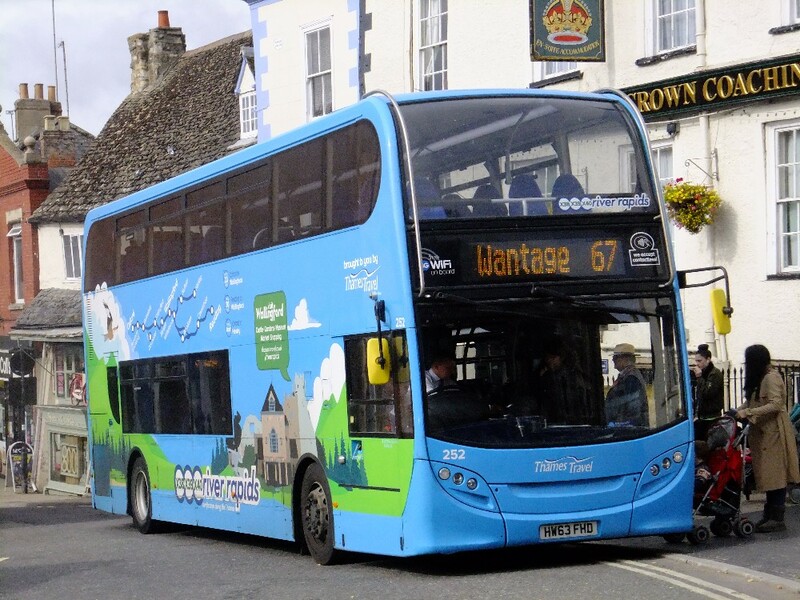 Robert was Stagecoach South West Commercial Director and previously Stagecoach Oxford Commercial Officer. 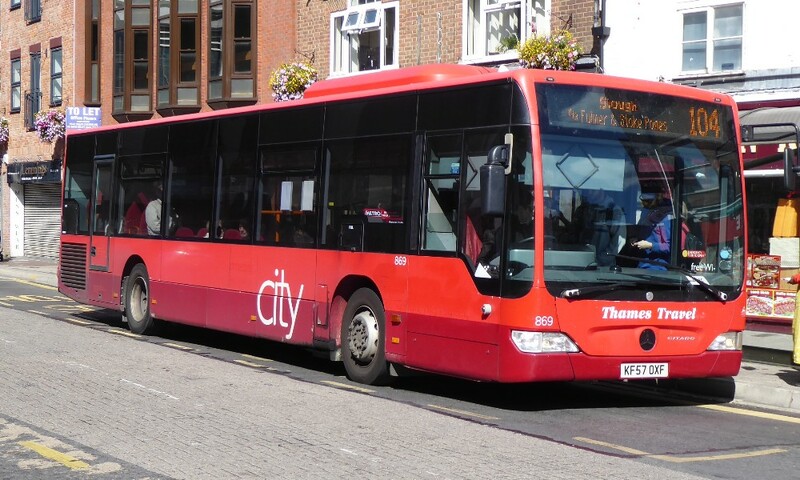 I can now advise which buses have so far been transferred from Newbury & District to Reading Buses effective September 14th. Further changes will be advised when they become available. 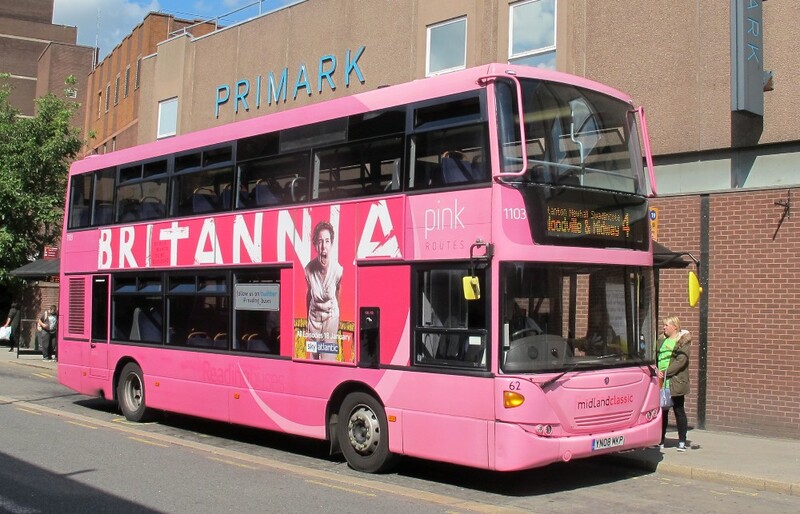 Bob writes "Ex-Reading Scania Omnicity still in its original Pink Routes livery and with its Reading 1103 fleet number seen in service on Friday, August 31 in Burton-on-Trent. Now with Midland Classic pictured on their route 4 to Woodville and Midway with the addition of their fleet number 62. Ex-Reading 1102 is also with the Midland Classic fleet as their number 61." 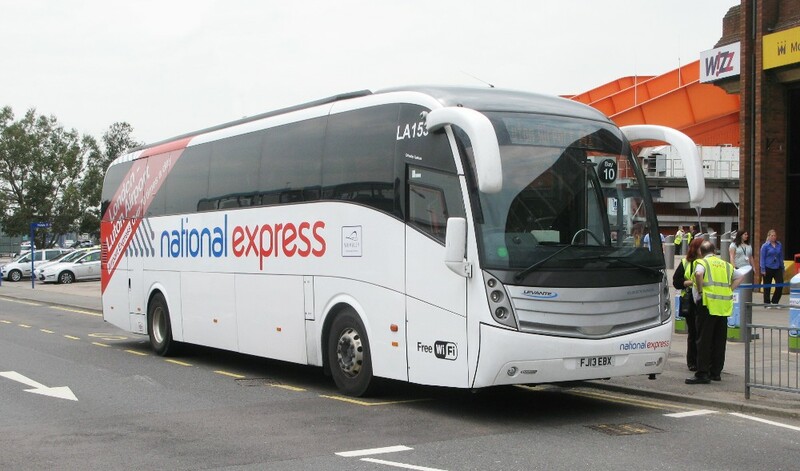 The three National Express coaches for the 925 service are 1403 (FJ13 EBL), 1404 (FJ13 EBN) and 1405 (FJ13 EBX). 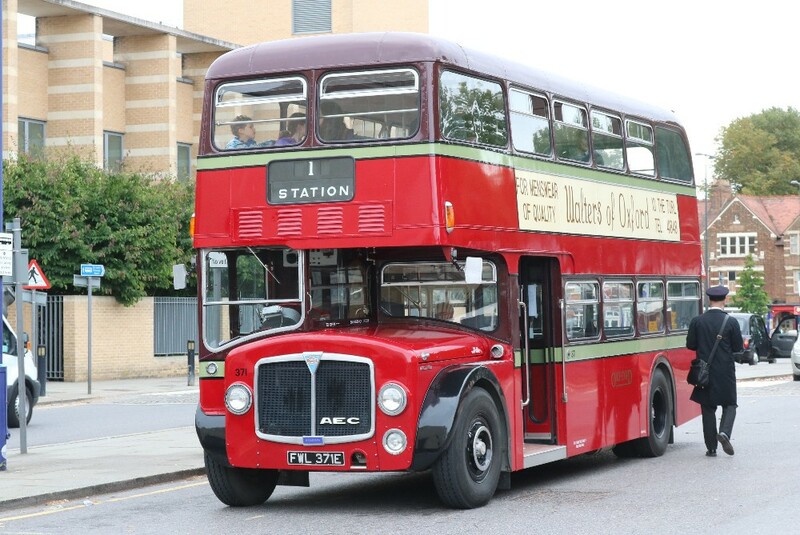 As you may be aware the BMC has now made a reappearance as we needed to use an extra bus on the 650 Aylesbury school contract so who better to test drive her? Taken in Oxford on a 275 working. Hazel Richardson also provided some pictures taken on Monday and Wednesday last week. which I include below. Taken on the 5th on arrival in High Wycombe and then on the September 3rd as Nick was leaving. Seen by Hazel Richardson. 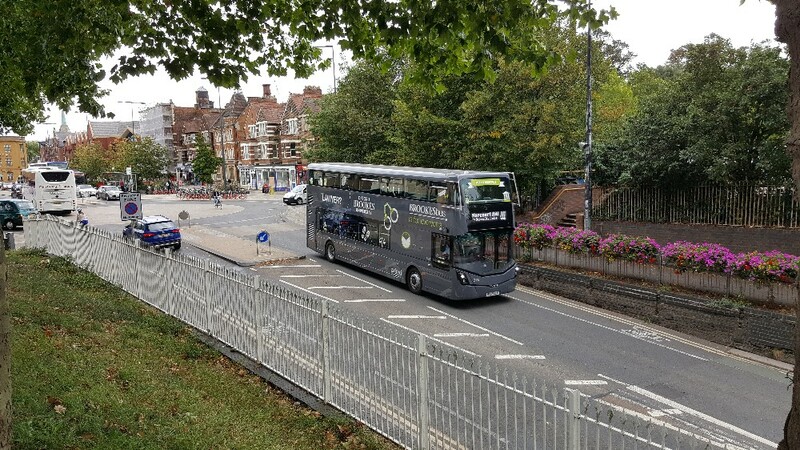 About September 17th, apart from 15830 on route 8 (see picture below), 36983 SN63YPF was seen in the afternoon working the 9 to Risinghurst whilst 10671 SN16OYT was seen in the afternoon on an S9 service and 10675 SN16OYX in the morning on an S3 service. 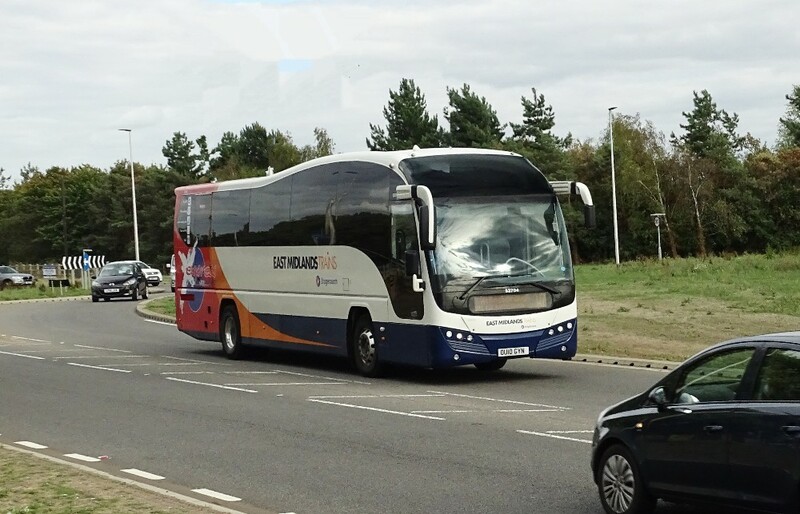 A couple of pictures are shown below taken by Gary Seamarks of coaches previously used by Stagecoach Oxford on the National Express 737 service - Oxford to Stansted. These coaches are presently operating for East Midlands Trains on Rail Replacement work. SC Midlands 53704 OU10GYN and 53705 OU10GYO on East Midlands Trains Rail Replacement Work on September 7th by Gary Seamarks. Former Oxford ALX400 18127 is seen nearing Brackley, close to its original operating area, on a late evening X91 Service from Milton Keynes. 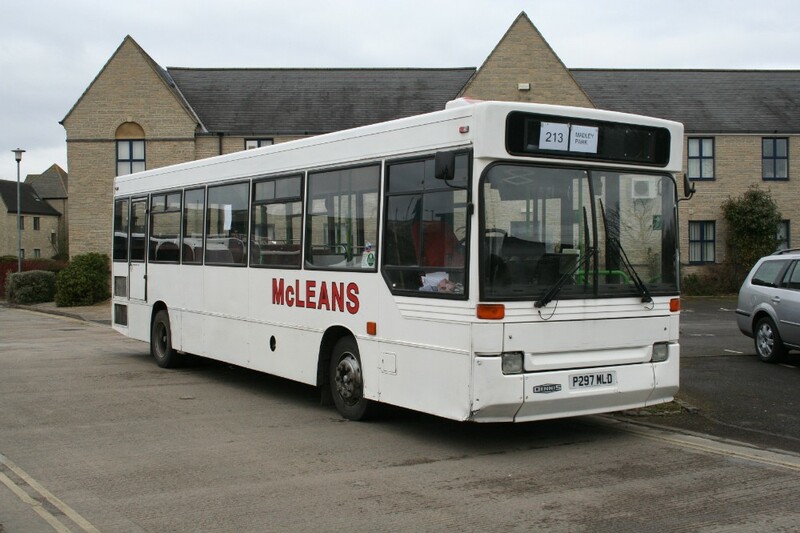 Once a regular on the S1 (100) service to Witney. The journey time is fairly good at an hour and 15 minutes with an hourly frequency, it also calls at Silverstone and Towcester. 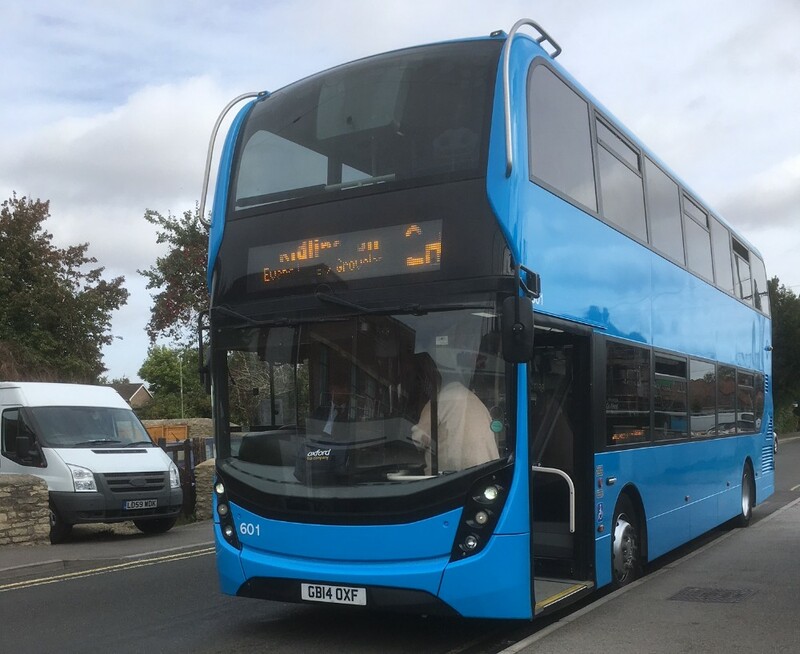 In theory you can now travel from Banbury to Milton Keynes by using the 500 then the X91. 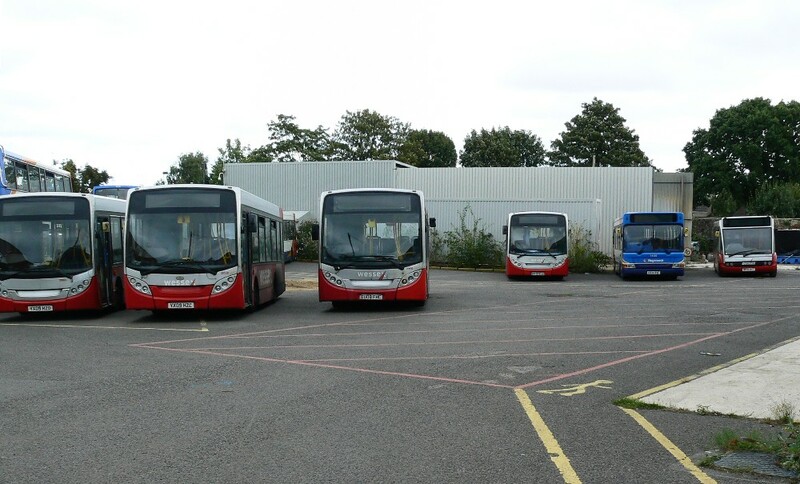 Marcus writes "On a somewhat gloomy day I photographed a quiet Sunday at Stagecoach Swindon's new depot on September 9th." 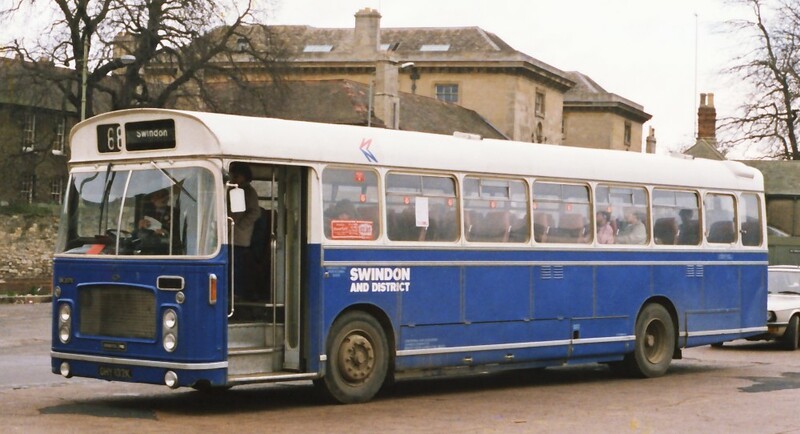 At neither of the two Stagecoach depots in Swindon were any of the former route 66 branded double deckers that were in use up to 1st September. 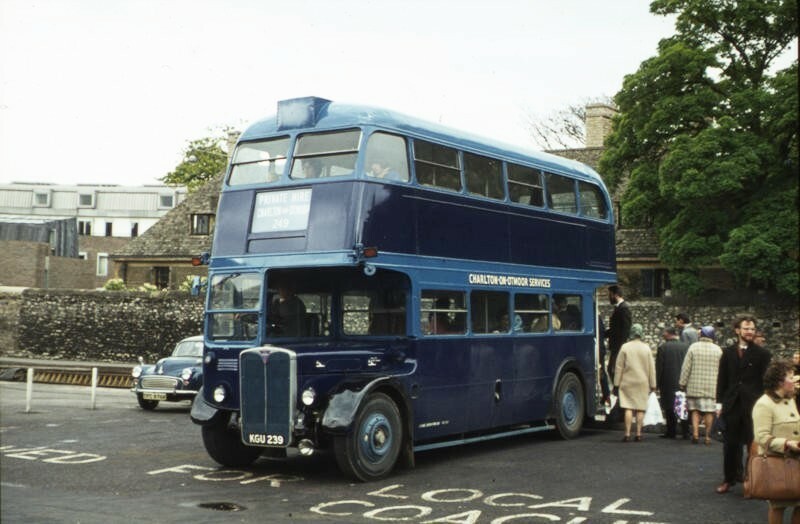 Stagecoach West have informed me that our ‘old’ 66 gold deckers have been transferred to Stroud. 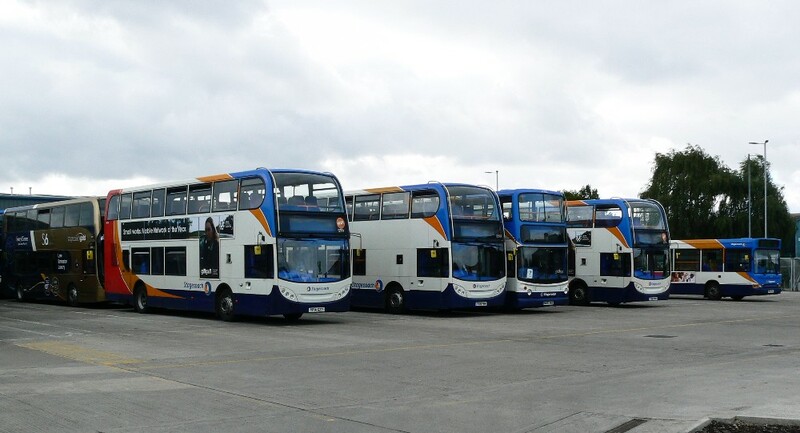 It would be nice to have some pictures of these ex 66 route Gold's if anyone has the opportunity to send. Ed. Marcus goes on to advise us about the takeover of Wessex Buses. 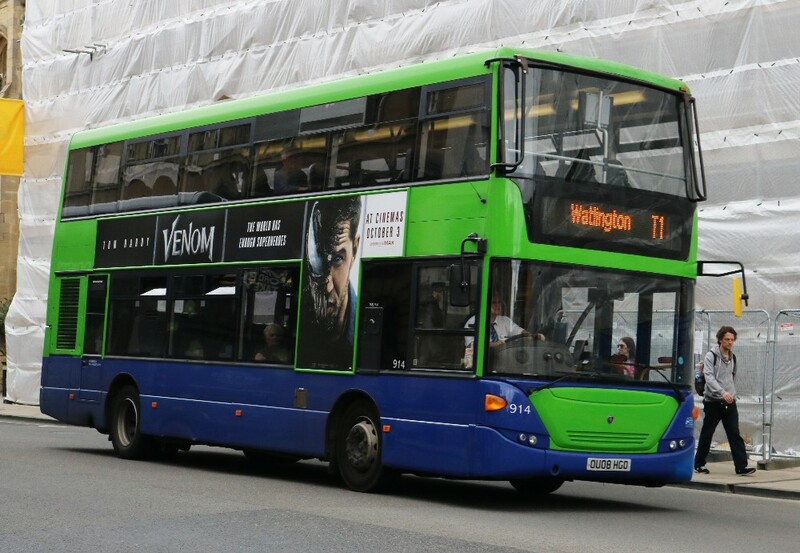 Following a number of years of successful operation in the Bristol, Bath and South Gloucestershire areas, Wessex Bus has seen a contraction in services following reductions in contracts from both the public and private sectors. 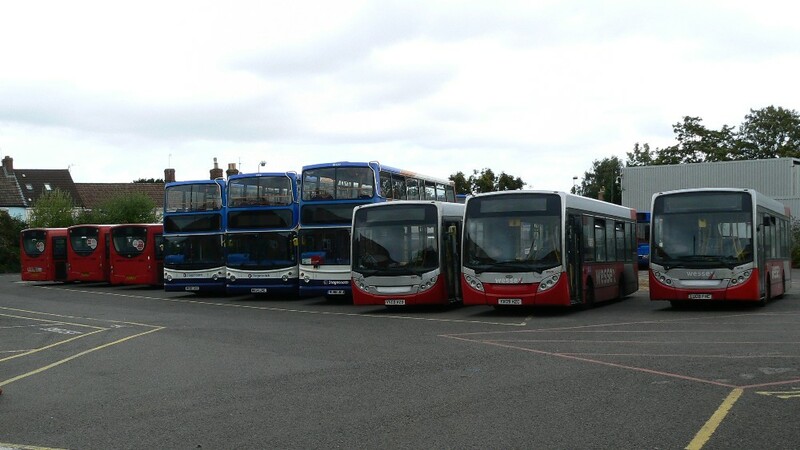 Marcus adds "On Sunday September 9th I photographed some of the former Wessex buses that are now being stored at the old Stagecoach Swindon depot." Part of the Wessex fleet. Last year you named 9 coaches for us. And we want you to do it again! Woo-hoo! 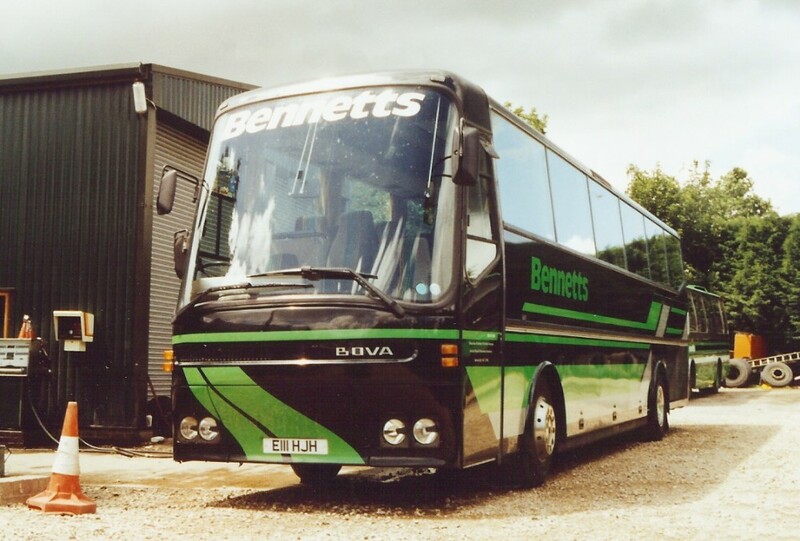 It’s a funny old world at times, the attached, still showing it’s Bennetts heritage was in Windsor on September 13th and then on my way home from town on the 3A service a ‘16’ registration Bennetts Tourismo was coming round Rose Hill roundabout. YN03AXS on September 13th by David Beynon. It has been a long time since I sent in some photos, I hope these aren’t too late for the next issue ! I have plenty I can send in over the coming weeks from my many outings in the summer, plus some more recent photos from the West Midlands. First up, I want to share some recent London photos, one of which I’m sure will be of interest to your readers. This first batch were taken on August 21st. And here are some more recent London photos taken. There may be to many for this issue but I assume you could use them for the next issue. These are taken on taken August 29th and 30th. 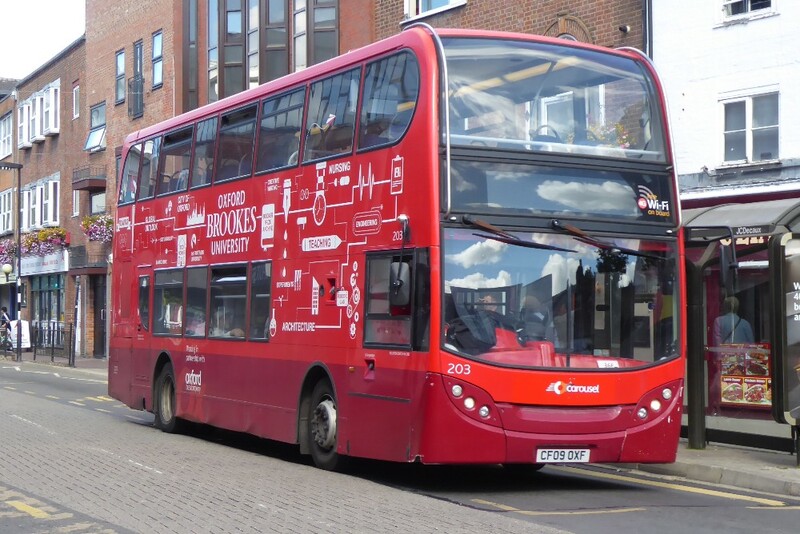 Go Ahead London demo BU13ZVE on the 358 near Bromley Garage. 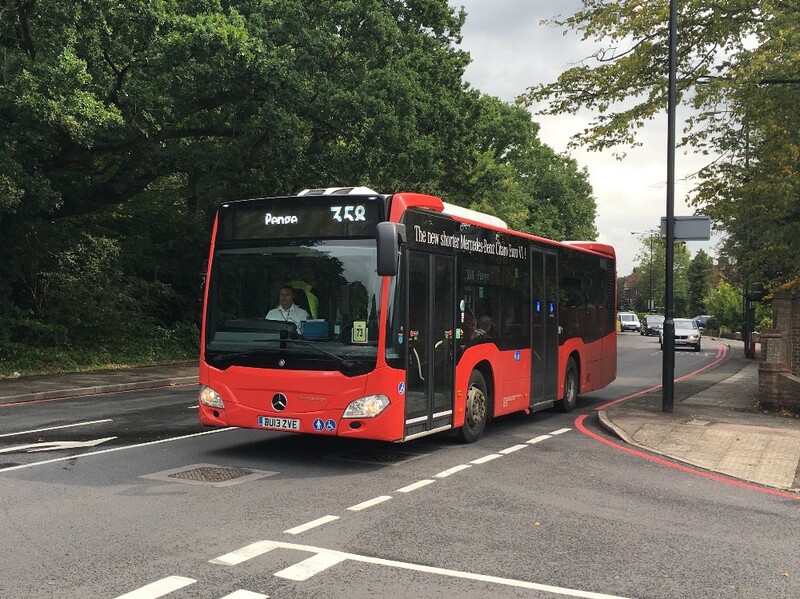 Short MMC 37509 is near Catford in this crisp picture by Dylan. 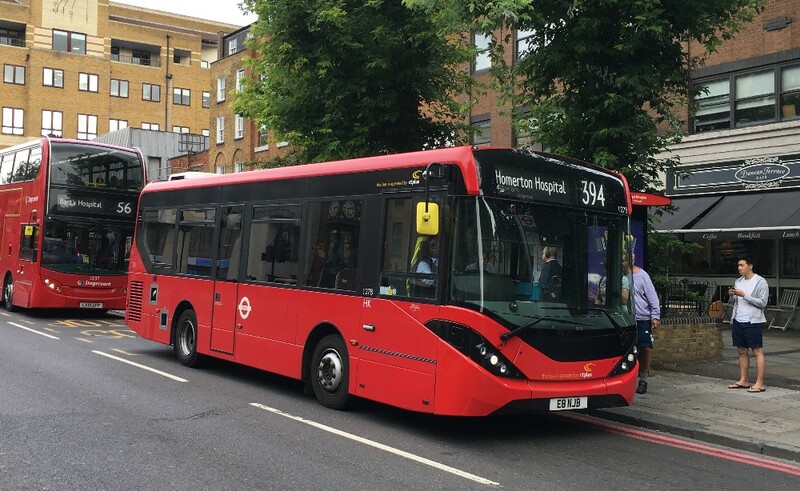 CT Plus 1278 with the 394 at Islington, Tolpuddle Street on August 30th. 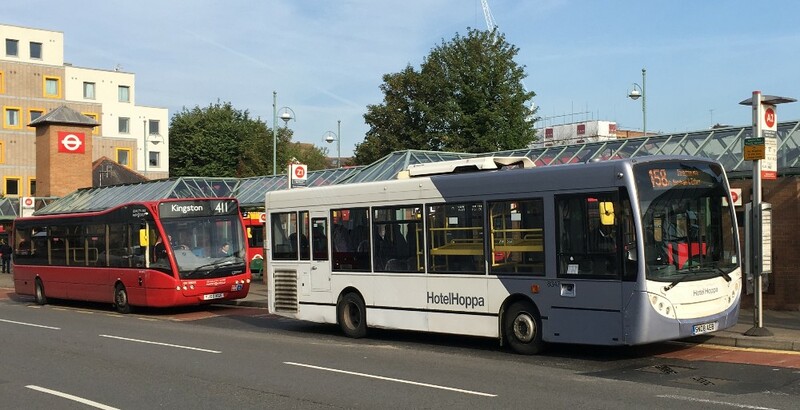 Finally in this round up of London single decks, one time Hotel Hoppa 8347 on local service 458 in Kingston. My good friend and fellow Marlow & District Railway Society member, Gordon Rippington sent me this snap he took in Corfe Castle on the Isle of Purbeck recently. Looks superb and fully restored to as built condition. Some shots I've seen of RM24 on the web show it still with the later badge grille but, although it's hard to tell, it appears that detail has now been corrected. Derek writes "Seen this morning Launton Travel, Bicester UKZ5457 (ex P218 RWR) EOS E180Z still in basic livery of one time owner Ogden’s, St Helens (MY) taken from the A34 bridge at Chilton." 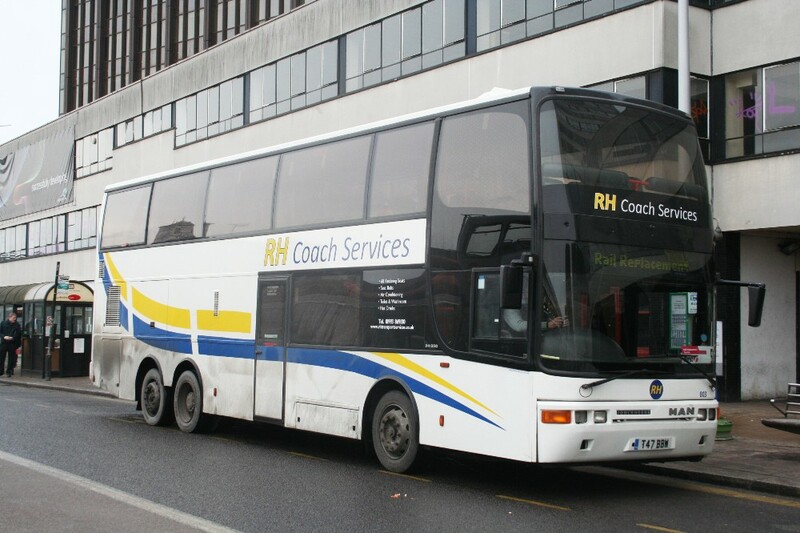 Derek adds "As you thought you maybe to shed a bit light on pictures for next week thought I would send a few of operators no longer with us (albeit some are now in a different guise)"
RH Coach Services M A N/Jonckheere (ex Tube) taken in Reading which by June 2014 was with Etcetera. Both taken at Witney Garage from this company now long gone!